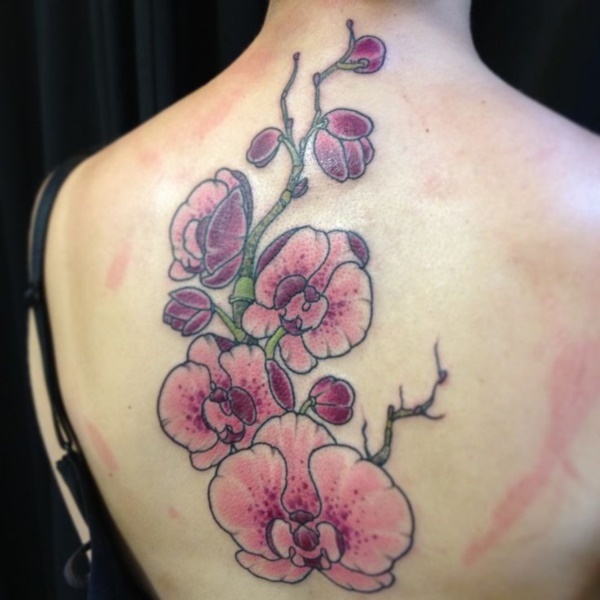 A Japanese floral tattoo meaning may be quite different from its meaning in Mexican tattoo art. 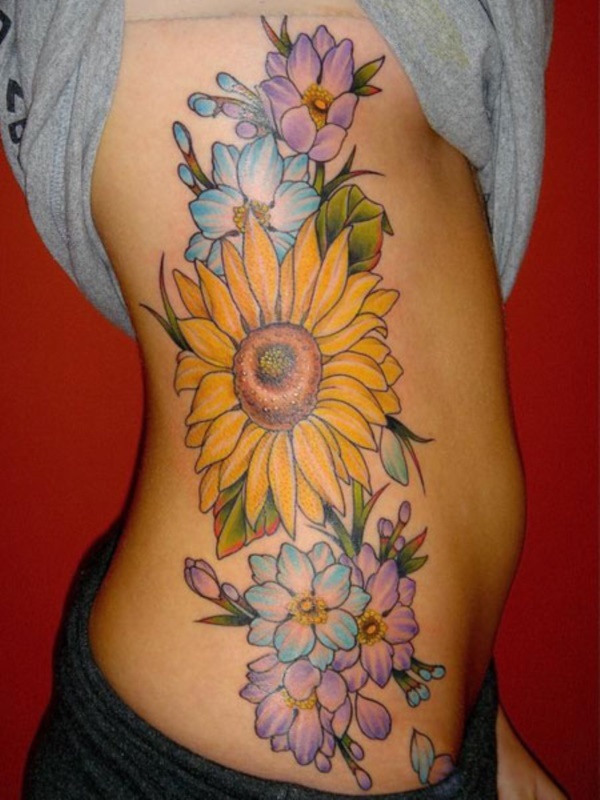 Flower tattoo designs incorporate all different kinds of flowers. They also vary depending on colour, size, variety and number. Don’t forget that each floral design has its own uniqueness and importance. 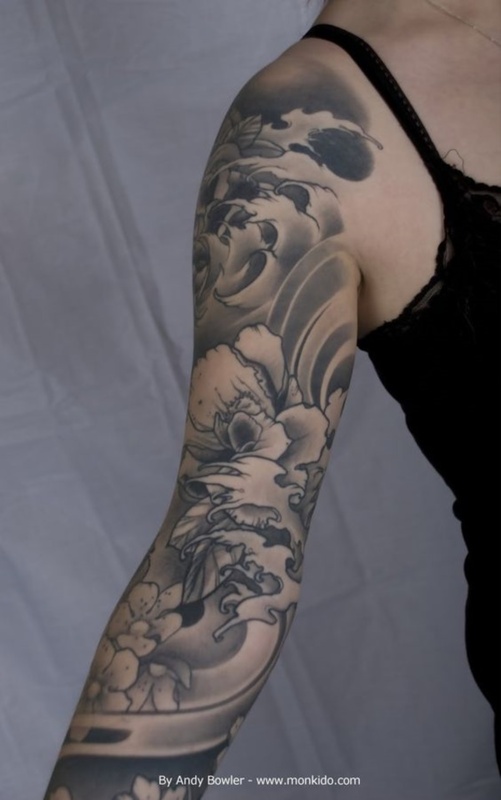 Try some fantastic sleeve tattoo designs. Upper back is another cool place. It’s great for wearing large pieces of flowers and reflects well on the wearer’s skin. Flowers hold a very special place throughout the journey of women. 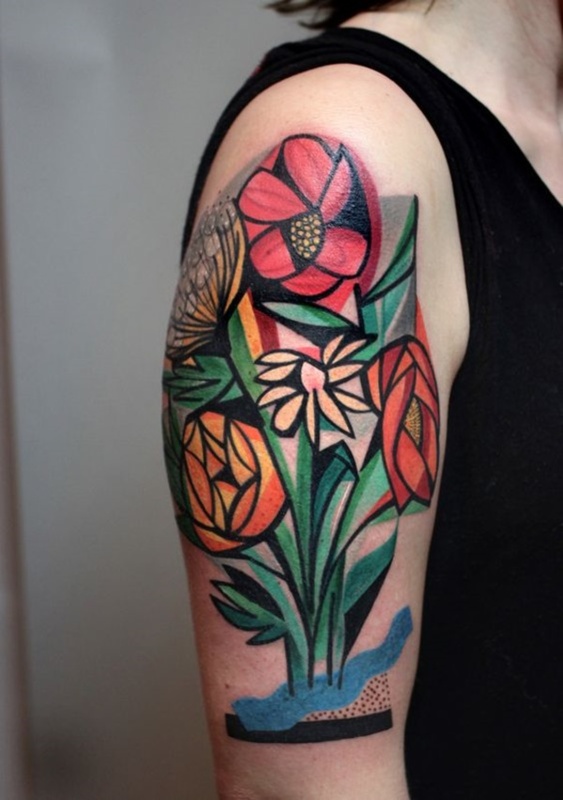 It’s true that it’s impossible to not relate flower tattoos with women. 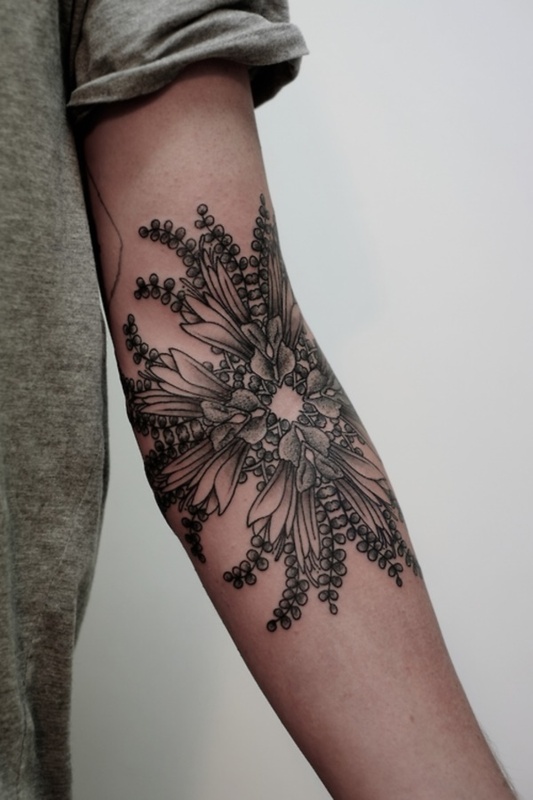 However, the men are also getting attracted towards many beautiful flower designs to increase their style statement. 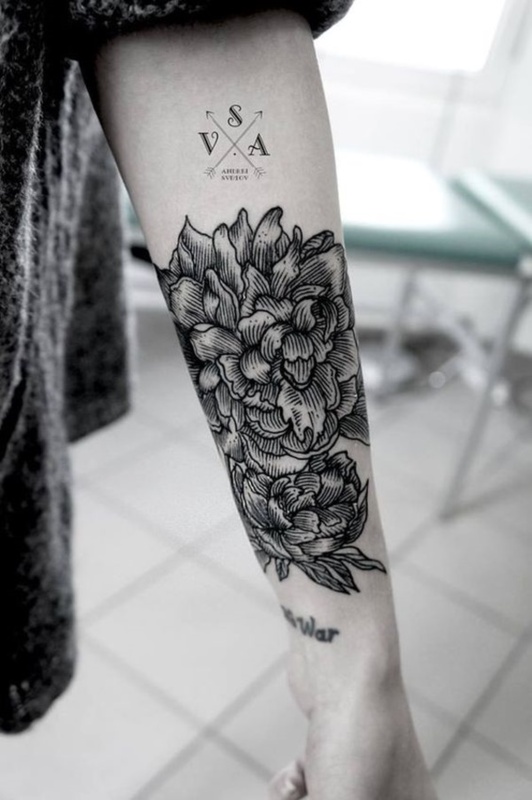 Now, when we talk about placement of flowers it’s clear that it totally depends on the type of design chosen by the bearer or the tattoo artist and most important, it’s size. 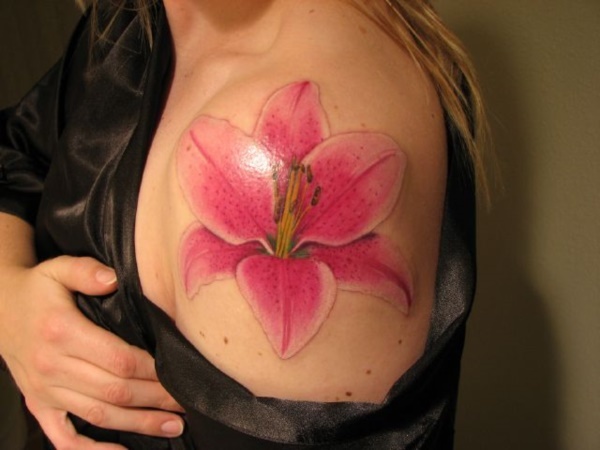 Before getting it inked, it’s necessary to know the exact size, so that it’s done without any tension or fear. 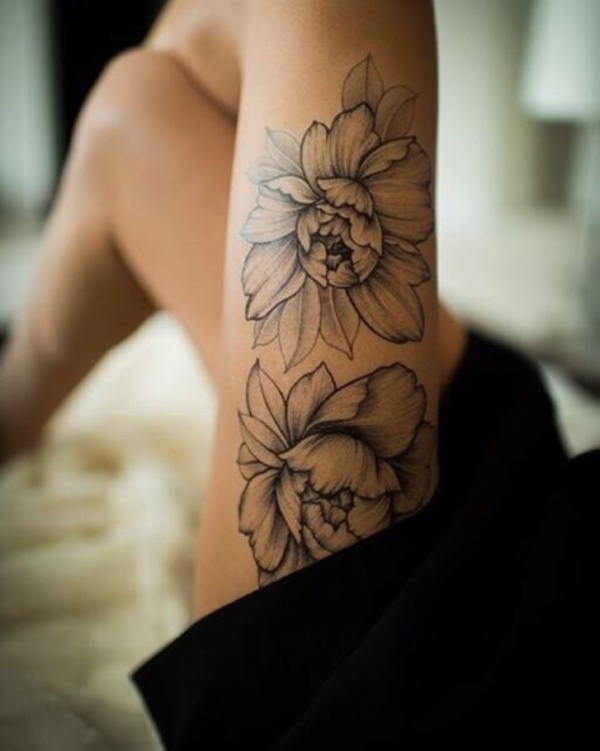 Women usually love to get big flower designs inked on their arm, back, sleeve, wrist, thigh, shoulder or ankle as they require very large space to have the best results. It’s correct that one should always opt for a design that matches best with their personality and attitude in terms of design, size and colour to look beautiful and gorgeous. In Japanese culture, this delicate flower represents falling petals being carried by the wind and it blooms for a short period of time. 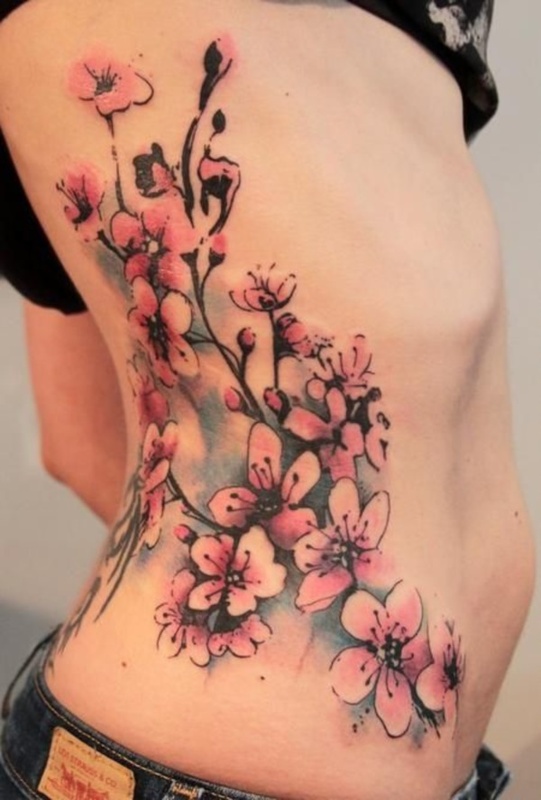 On the other hand in Chinese culture, the flower stands for femininity and love. 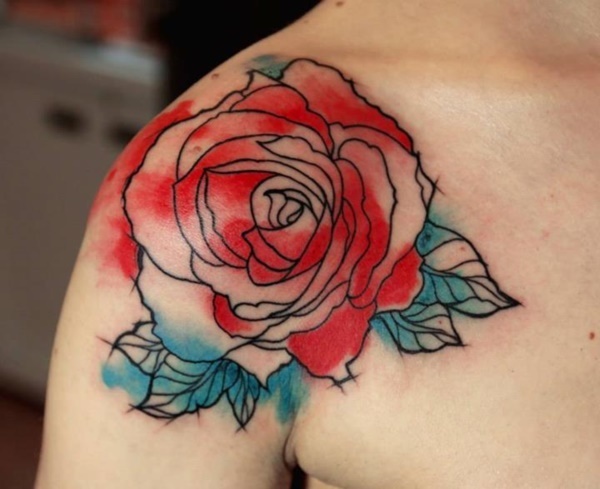 These tattoo designs are not in so much bloom nowadays as their beauty fades away with time. Both men and women, who want to go for short design, can surely opt for this design without any second thought. 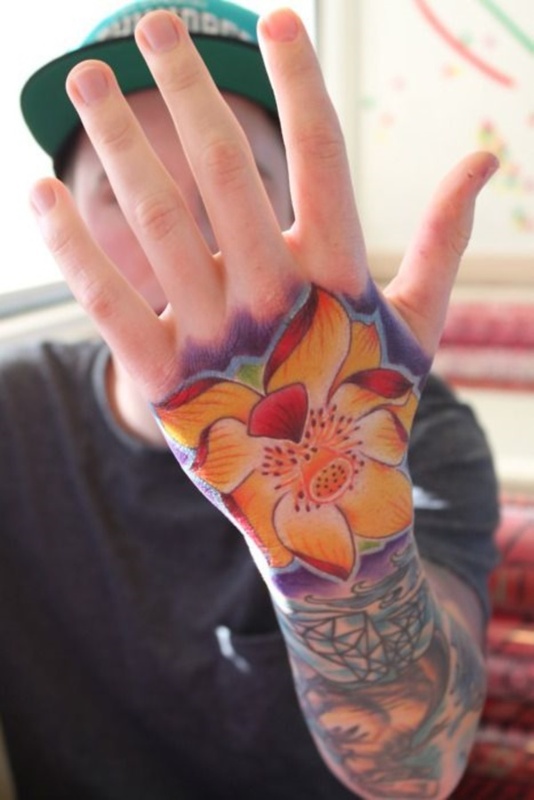 If you are considering inking flower tattoos the there are quite a variety of options to choose from. 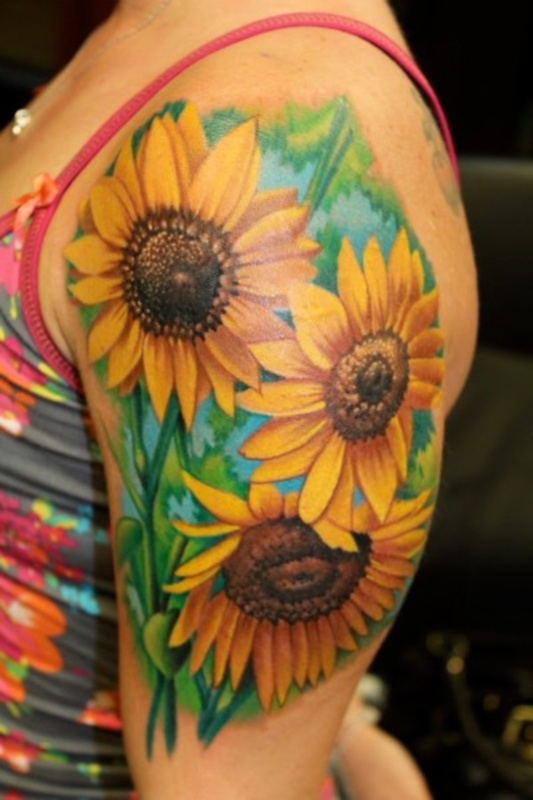 The bold yellow shades look amazing and blend well. It’s believed that these flowers have the quality of taking the advantage of the opportunity that comes their way and moulds them according to their needs or attitude. 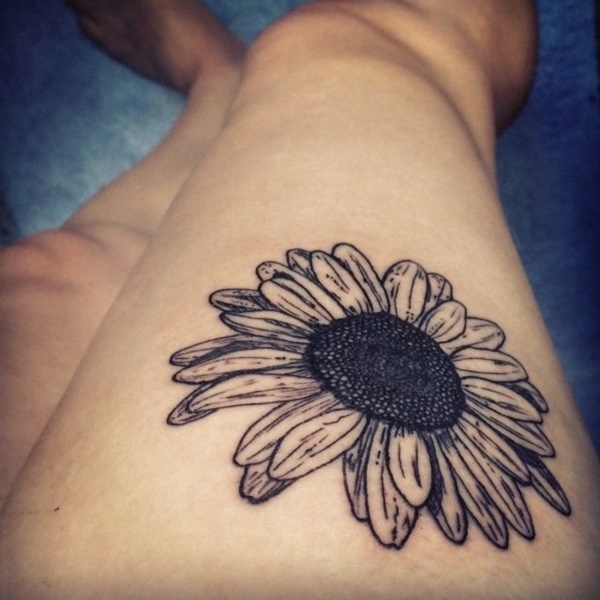 As these yellow flowers bring good luck and new opportunities your way, people love to get this tattoo design engraved on their body to stay happy and blessed. 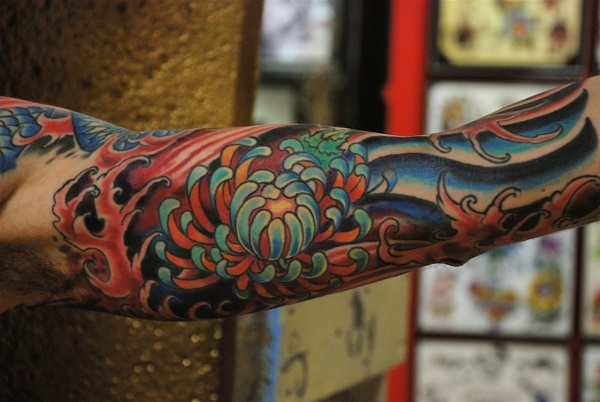 The flower holds a simple meaning in Japanese culture i.e. gentle. While, the Hawaiian culture relates it with power and royalty, which is the reason why the kings and queens of the island love this flower. 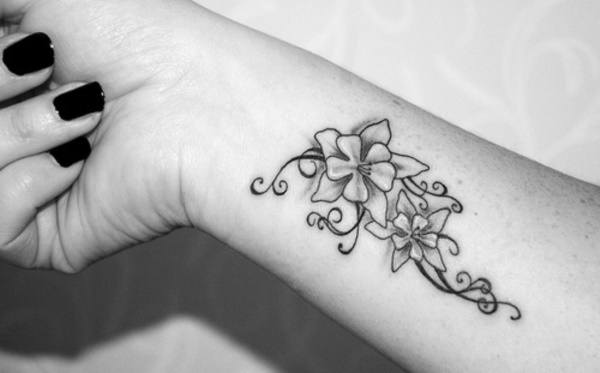 Nowadays, to show their power and royal nature men also love to have this tattoo inked on their arms as a sleeve design. 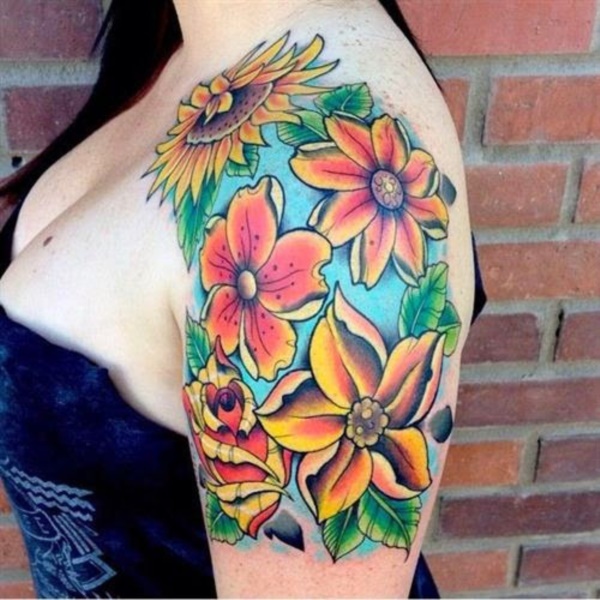 The use of vibrant colours like red and yellow makes the tattoo stand out of the crowd and the design gets may compliment for your look. 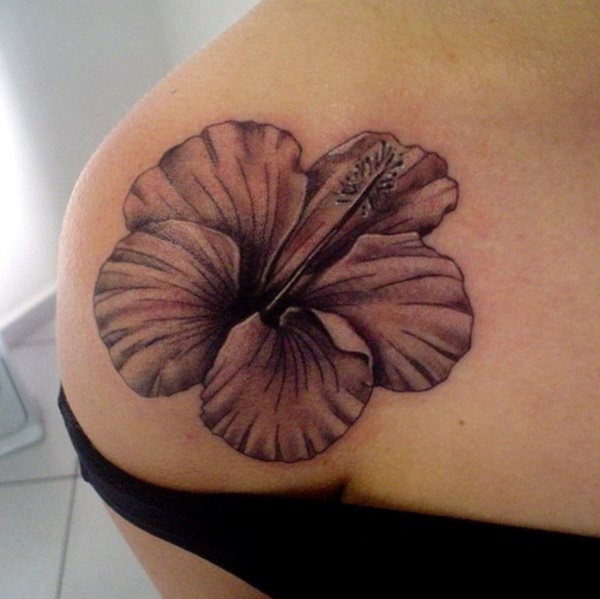 Always remember that the meaning of hibiscus flower tattoo changes according to the culture in which it is being used. 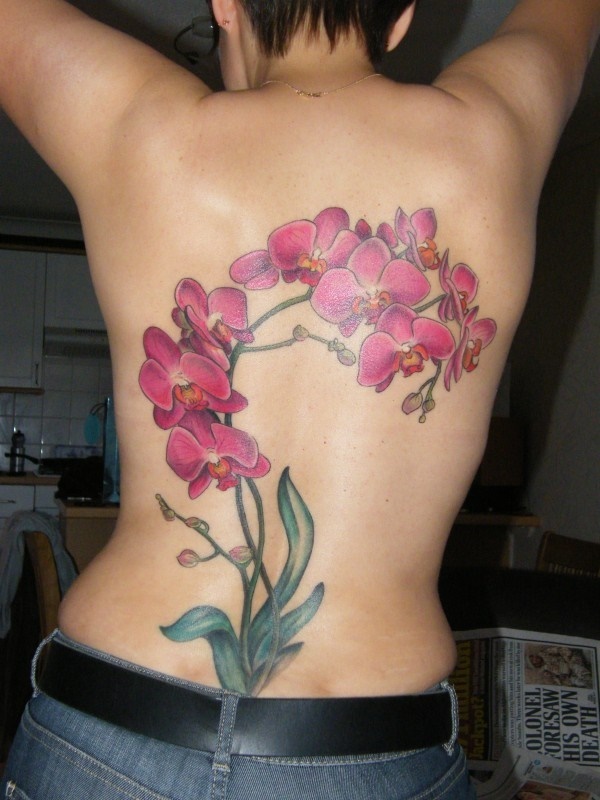 Placement of orchid flower tattoo below the neck area is totally awesome and grabs everyone’s attention. 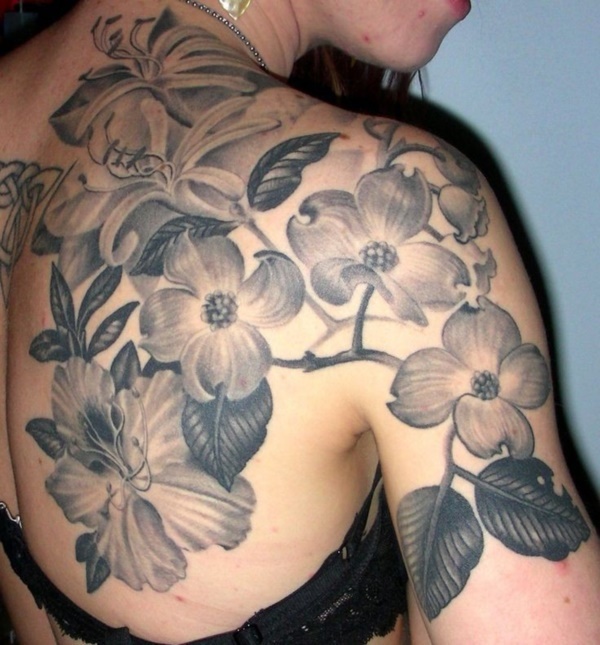 The best feature of orchid floral tattoo designs is that it offers a wide number of options. One can choose the best design according to their personality. 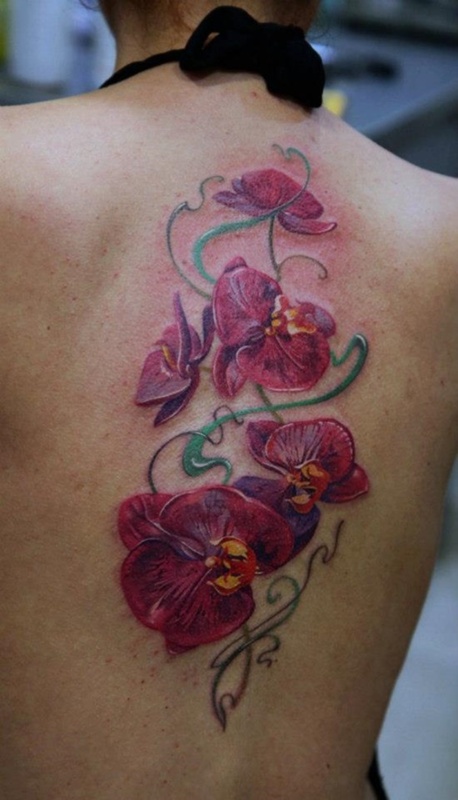 If you are looking for a change in your tattoo design from plain to classic, then surely go for an orchid tattoo design. In some cultures, these fascinating flowers are used during weddings as they associate newlywed couple in a long-lasting relationship. 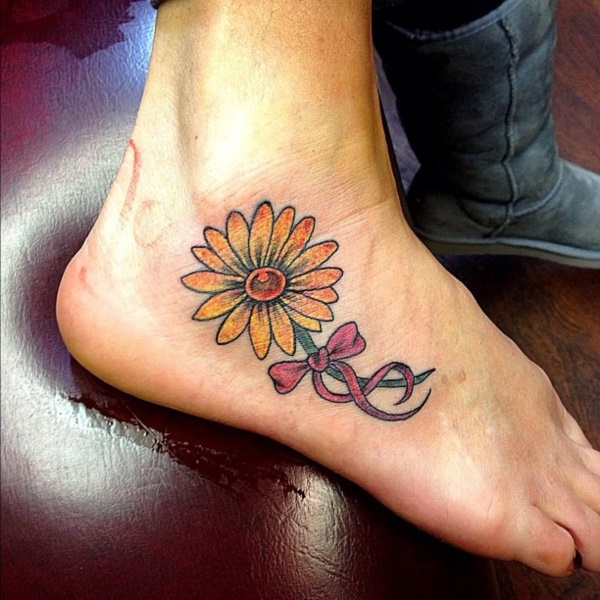 This is the reason the tattoo holds a very special place in the heart of the wedded couple’s. 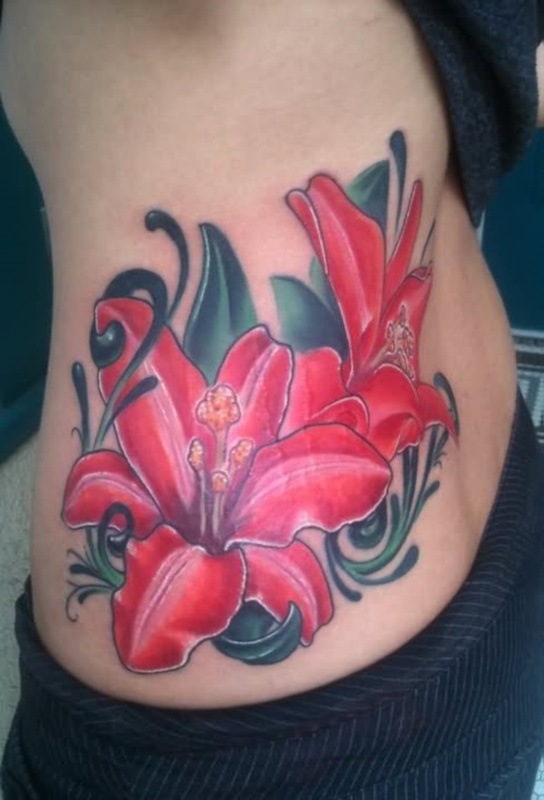 Compassion, mourning and understanding are also associated with lily flowers and the tattoo brings happiness in your life. 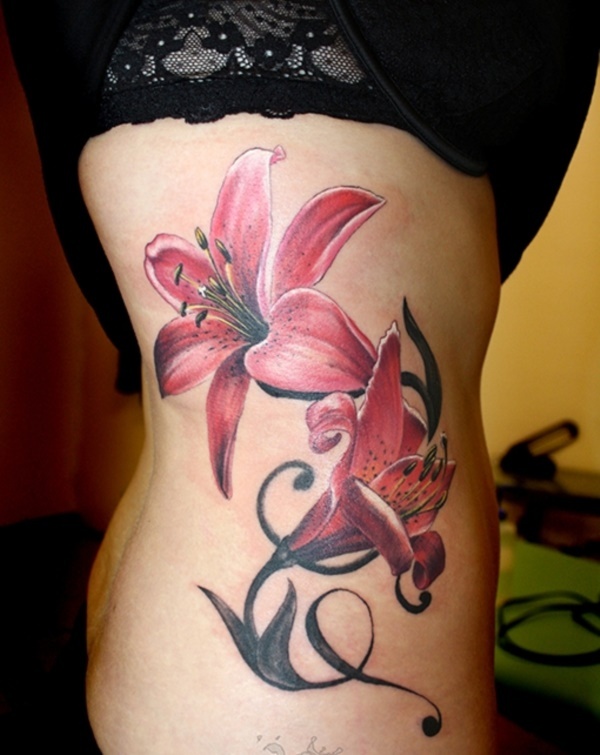 For example – tiger lily stands for prosperity, while calla lily represents beauty. 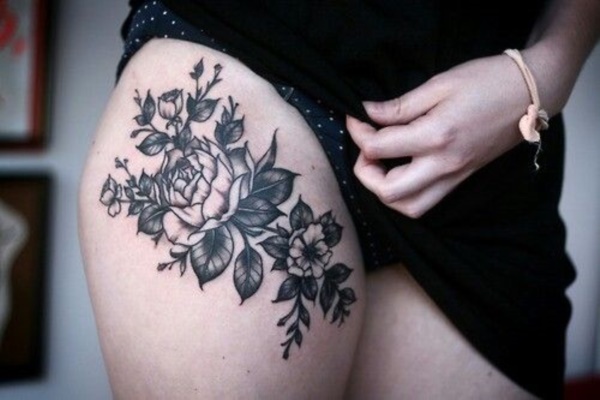 The tattoo looks fabulous on the back, thigh and knee area of your body. 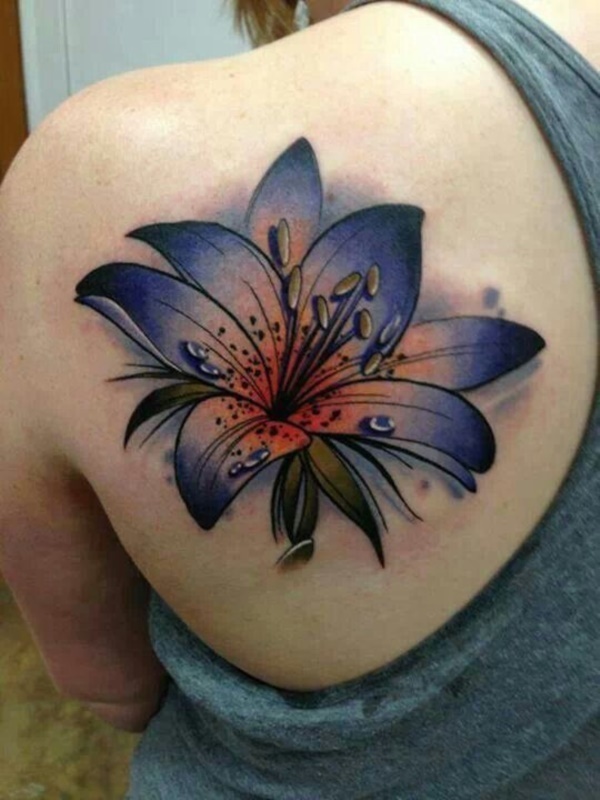 The lily flower tattoo design is also known as a September month flower tattoo design. This absolutely stunning feminine flower looks great on young girls and ladies. Many people adore this design as a flirty design and it’s difficult to hide the beauty of the design. 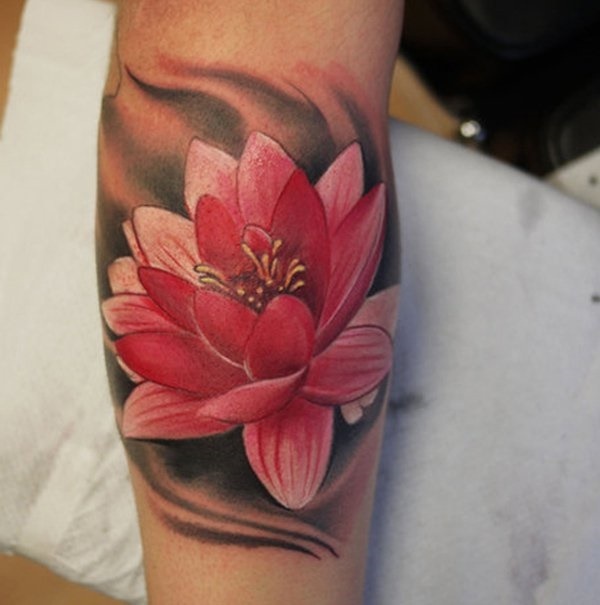 Lotus is a beautiful flower associated with purity, knowledge and spiritual enlightenment. 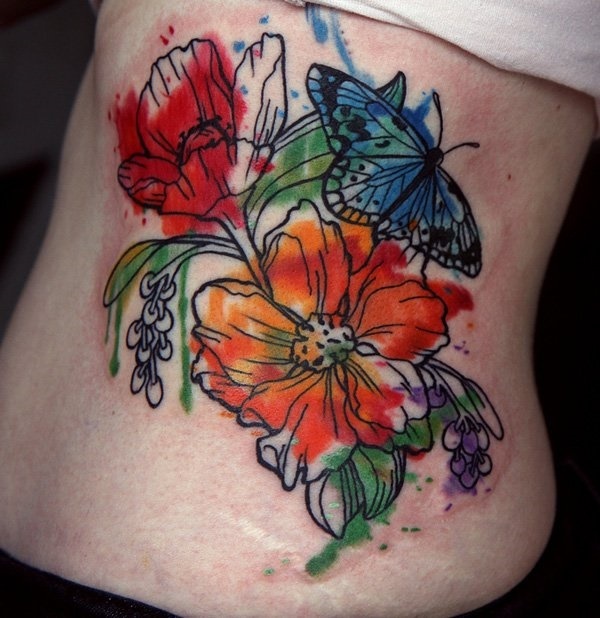 The beauty of floral tattoos lies in the fact that you can boldly wear the colours that you love without feeling funny. The fusion of two colours used in the design blend perfectly. 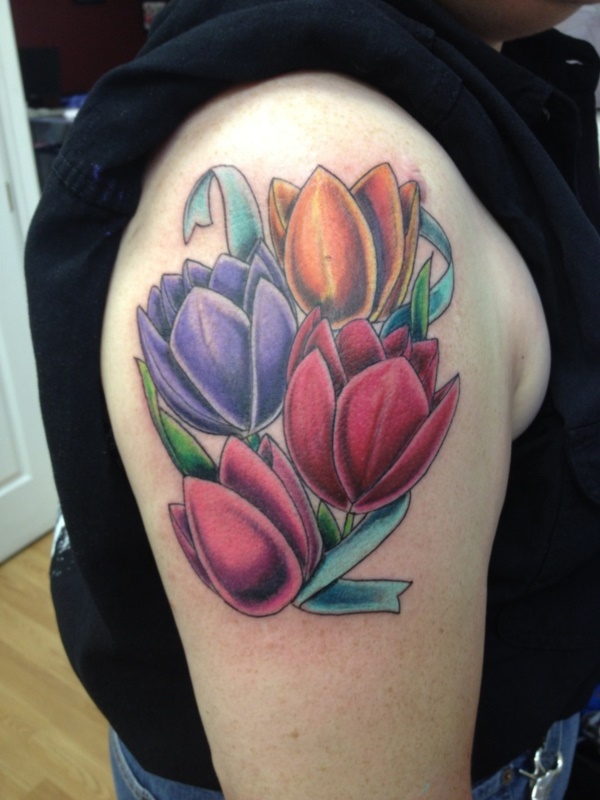 Tulip tattoo designs are highly appreciated for their bright colour effects. 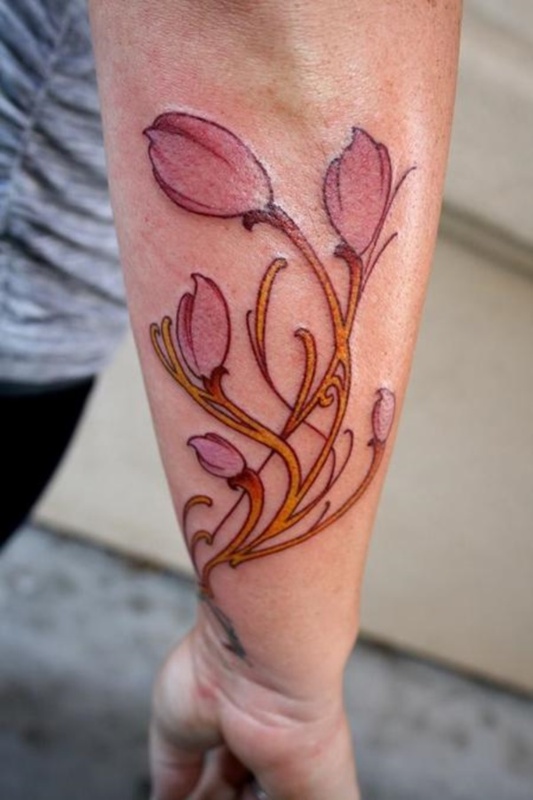 Tulip flower tattoo designs are a symbol of opportunity, advancement, adjustment and aspiration. 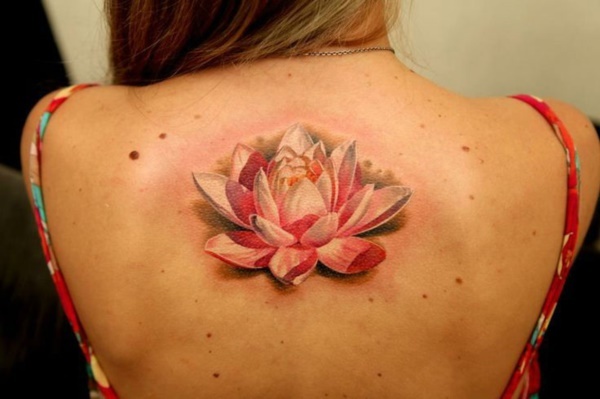 These tattoo idea also reflects your spiritual awareness. 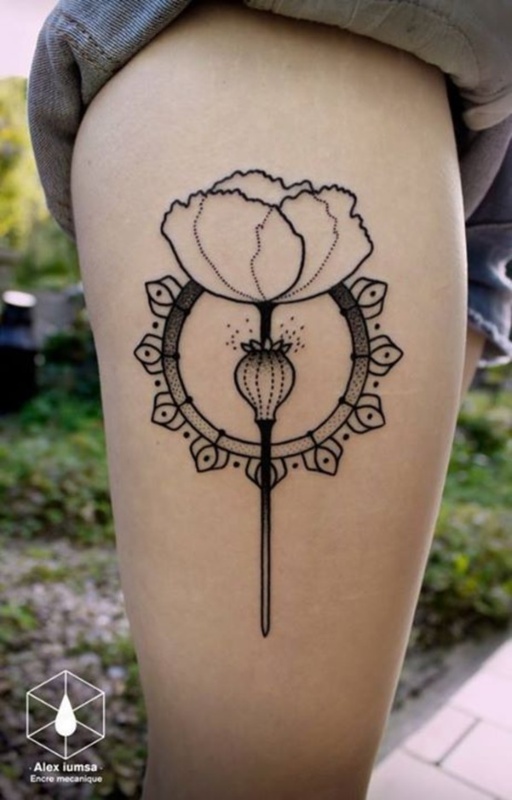 As the flower grows out of a bulb and returns every year with a new hope, similarly the tattoo is perfect for creating new hopes in your life. t also symbolizes determination. 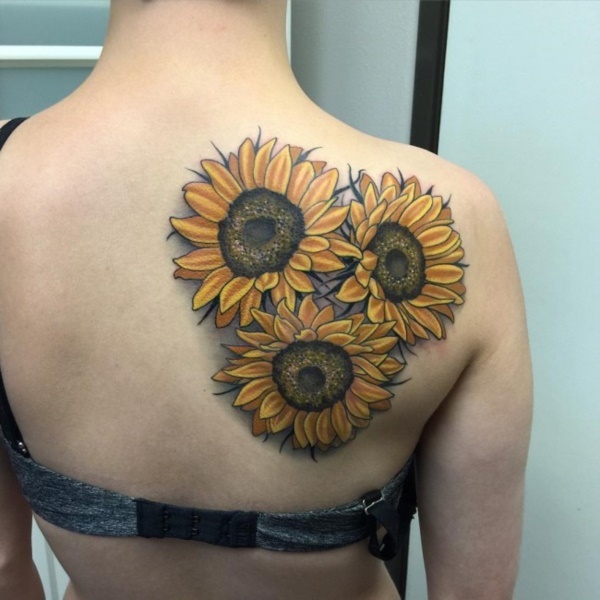 The design seems to be inspirational for the lovers of sun god as likewise sunflower; the tulip flower also turns its head in the direction of sunlight. 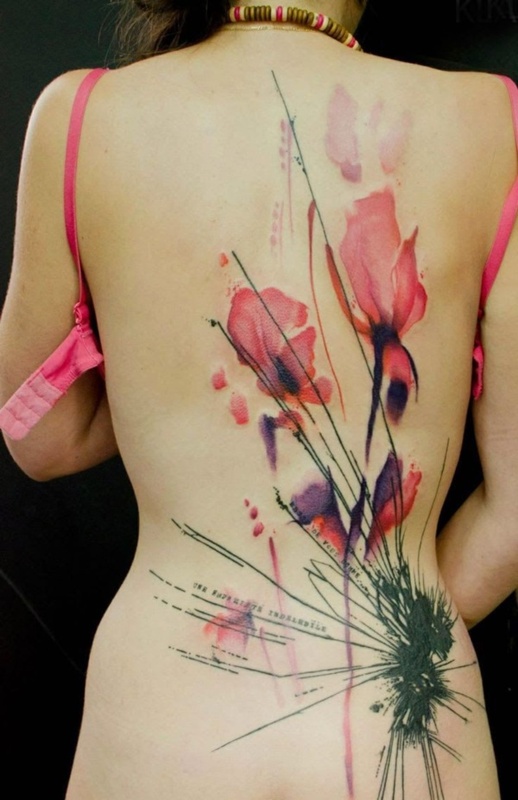 For a beautiful floral tattoo consider adding some elements that help in creating a nice contrast. 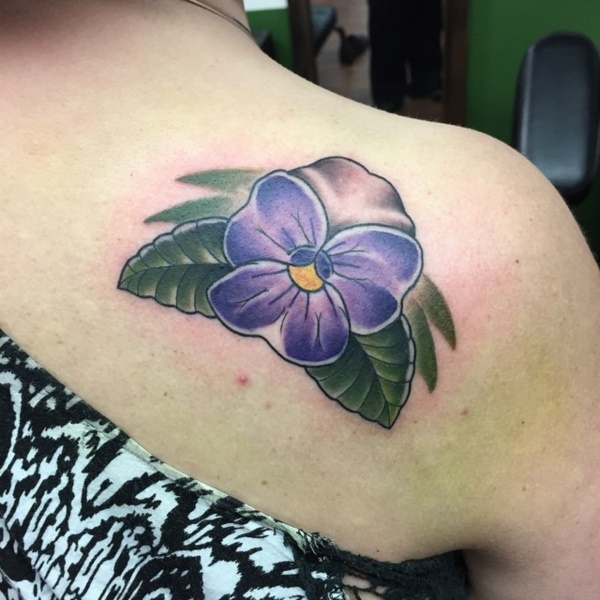 The purple, dark and green shades blend beautifully. Such a dynamic piece of design with each of the features used blending so well. The elements used in the design are not only intricate but also adds to the complexity of the design. 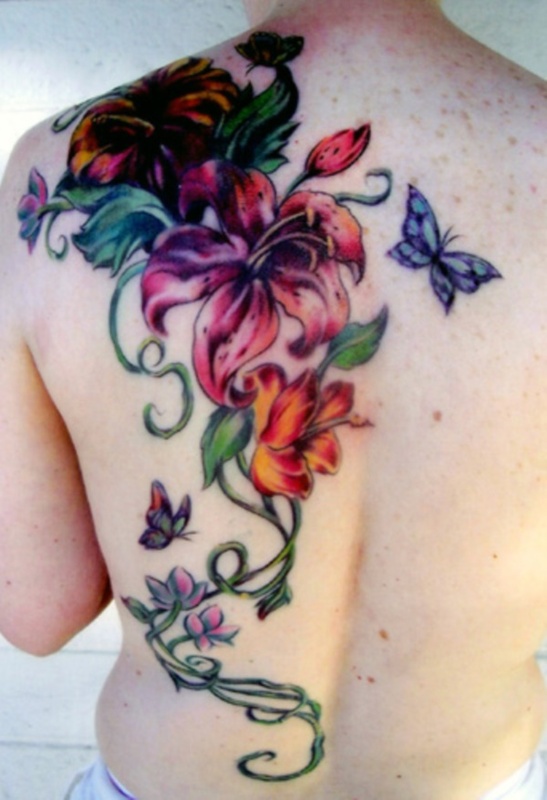 There are various meanings associated with floral tattoos with many seen to symbolize beauty, femininity and life. To bring out the best of your design, choose to work in with an artist that captures your style and personality well. Such an artist is capable of transforming the design into something that’s so appealing and magnificent. 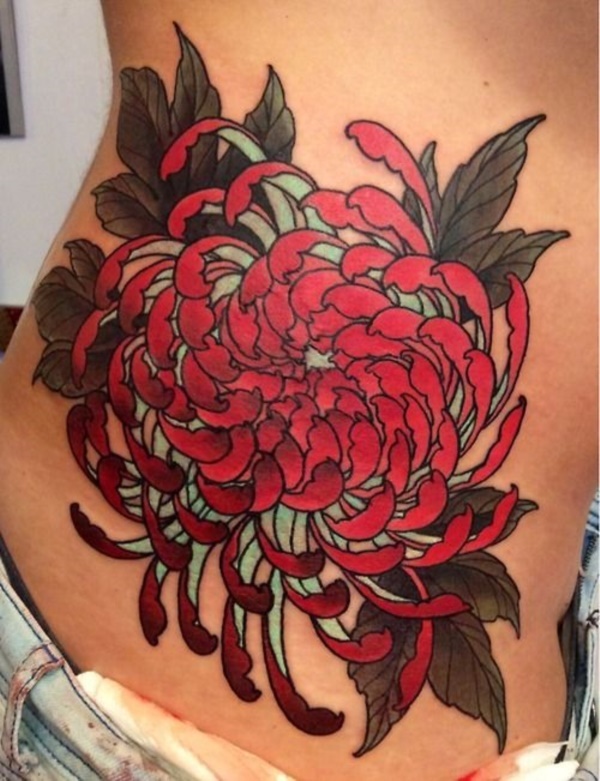 The most attractive flower tattoo design among Japanese tattoo art is Chrysanthemum tattoo design. The tattoo stands for royalty and perfection. 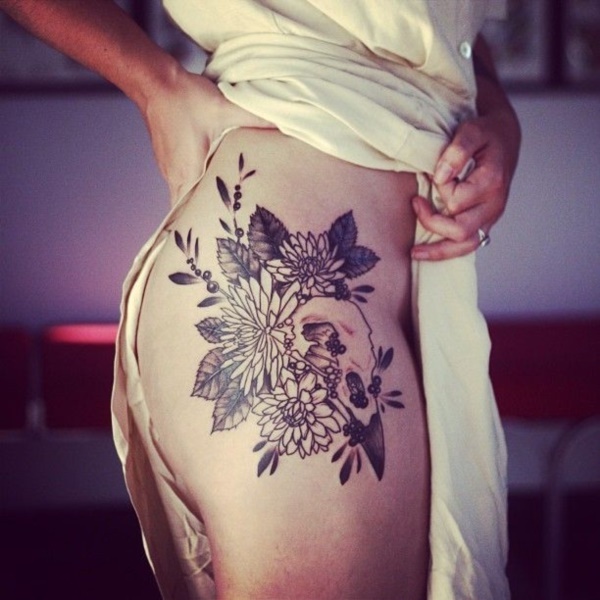 People usually engrave this tattoo as a symbol of the temporary state of life and death. Which is the ultimate truth of life for every human being because the flower only blooms during the time of autumn. 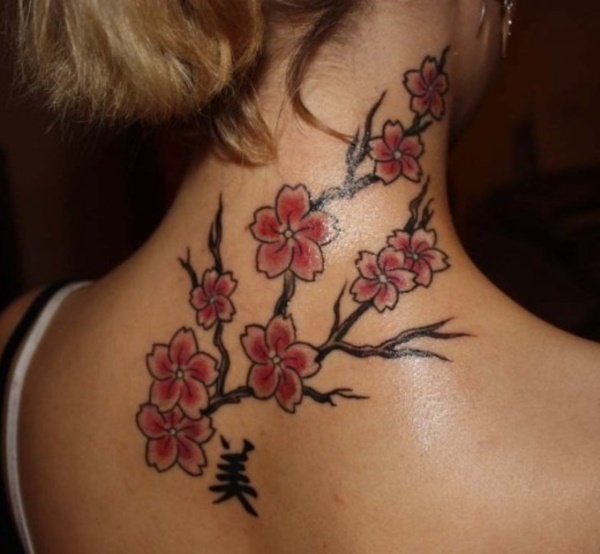 Japanese people associate this tattoo design with royalty and joy. 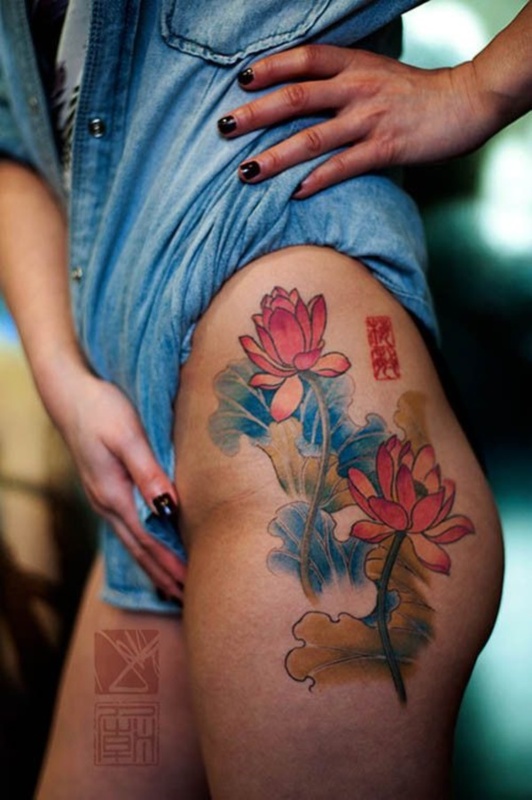 Whereas in China, the tattoo design is associated with simplicity, yet perfection. 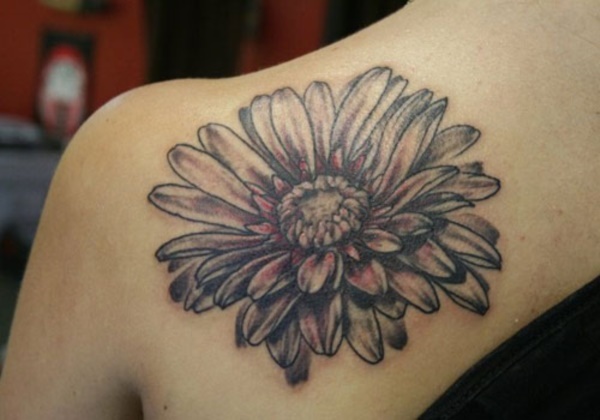 The chrysanthemum tattoo design looks great on both men and women. It also complements well with their personality. 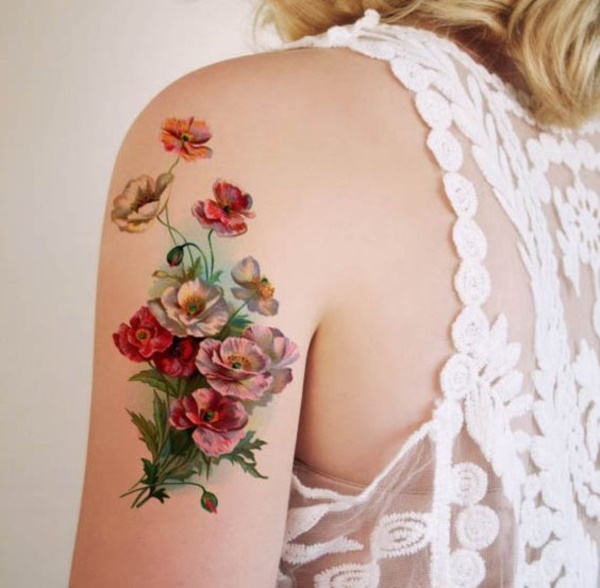 This flower tattoo idea brings goodwill into your life. The bold shades are just dynamic and pop beautifully on the design. 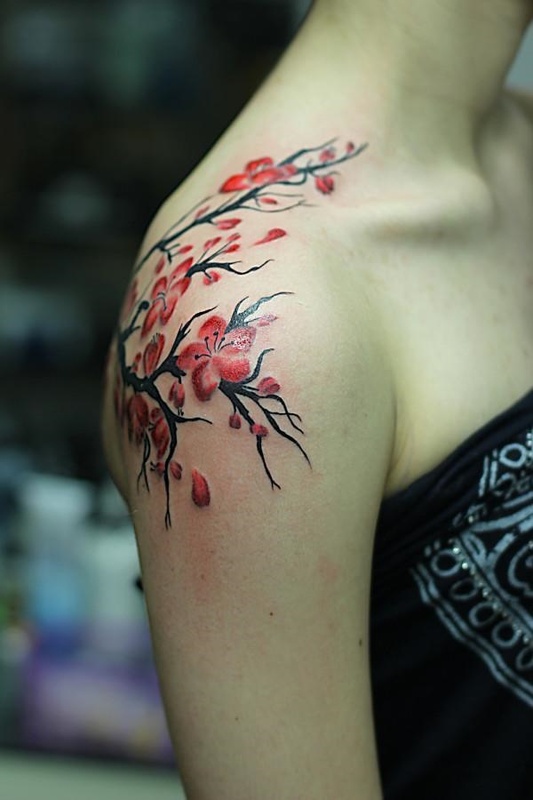 The design also captures the shoulder quite beautifully. 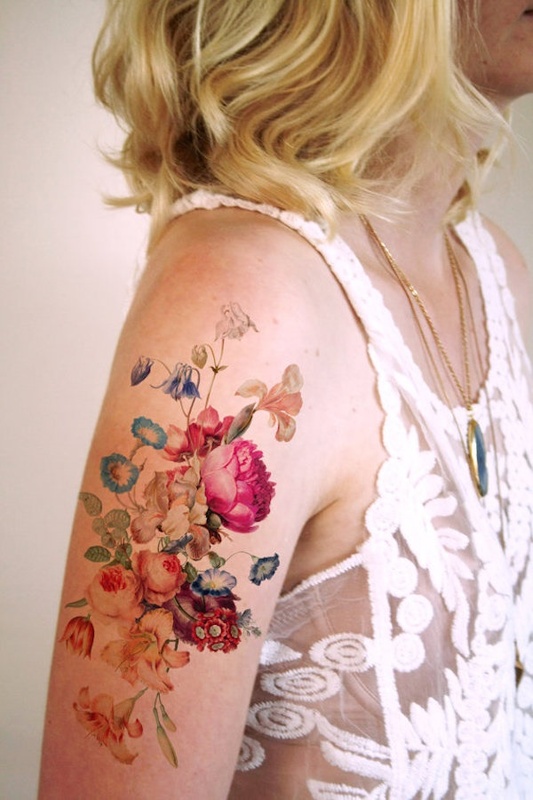 There is just something about a floral tattoo that is super intriguing. 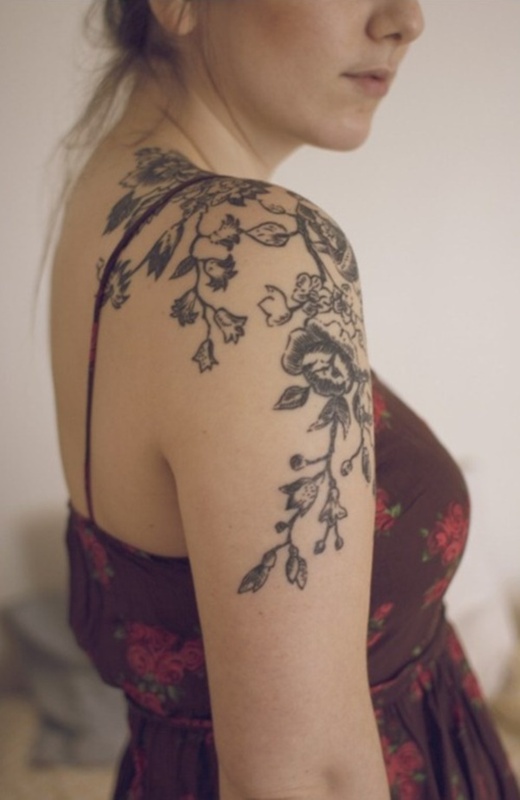 Regardless of what the tattoos are incorporated with, they still stand out beautifully. 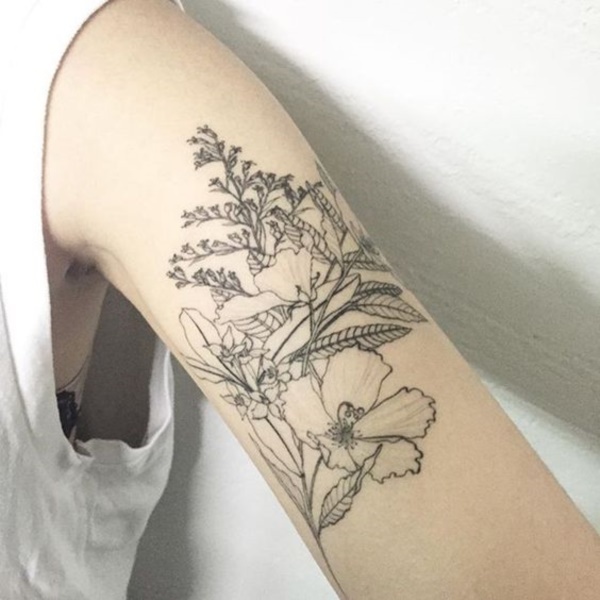 Floral tattoos express some subtle symbolism and reinforce femininity. The elements used in the design create a nice contrast and also blend well. 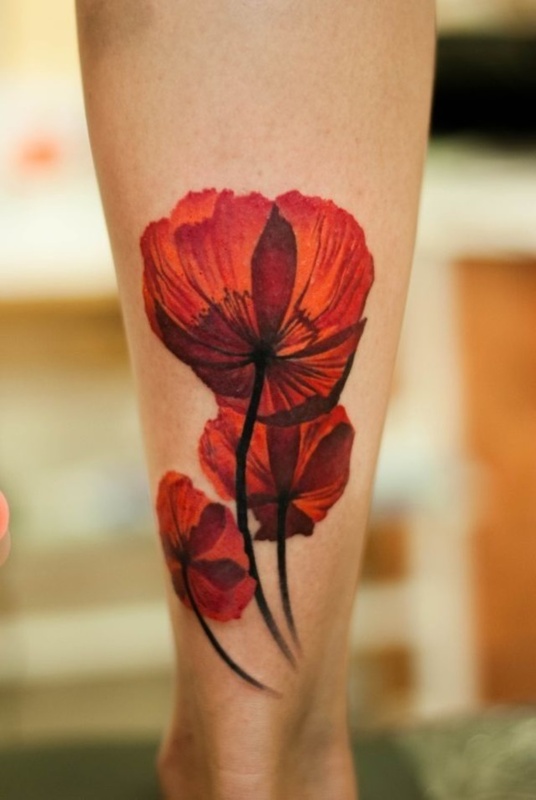 There are numerous poppies flower all over the world. 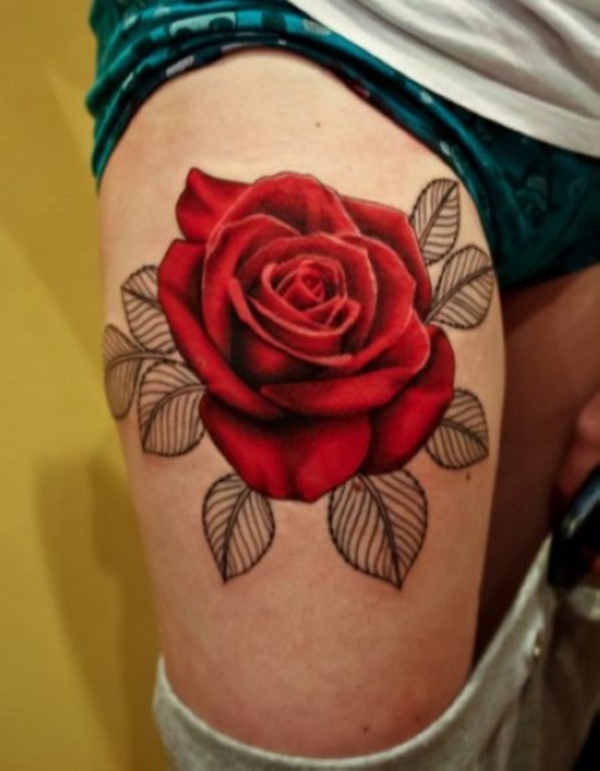 This is the reason they are popular in the form of tattoo in all major countries of the world. 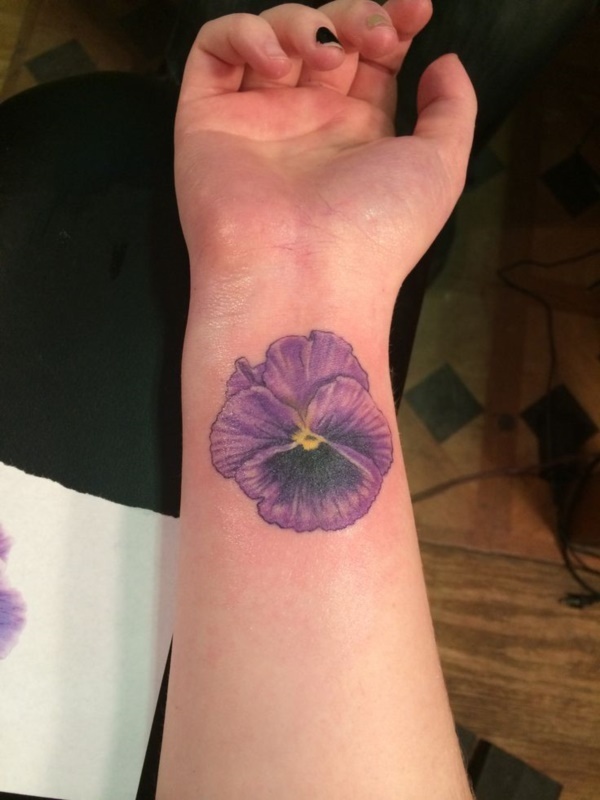 The flower holds a simple meaning. The people of Greek and Roman tradition associate this flower with death in the form of eternal sleep. 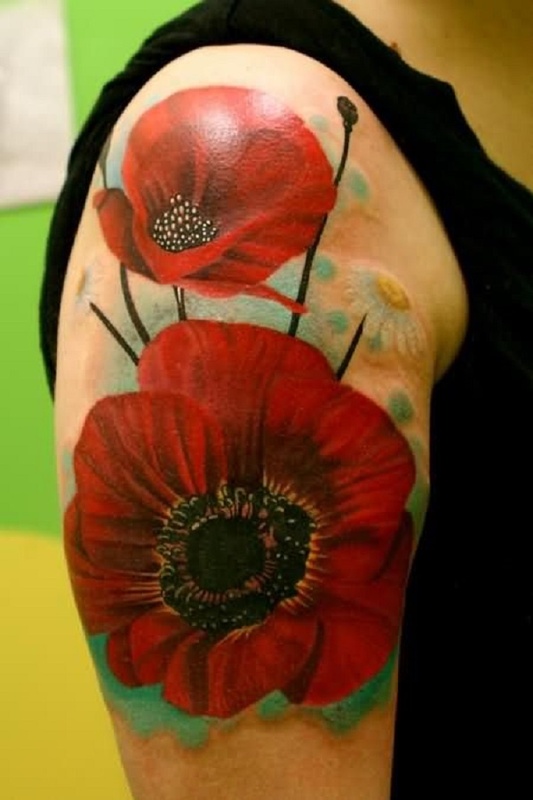 The other significant meaning of this tattoo design is associated with the remembrance of those who have died. 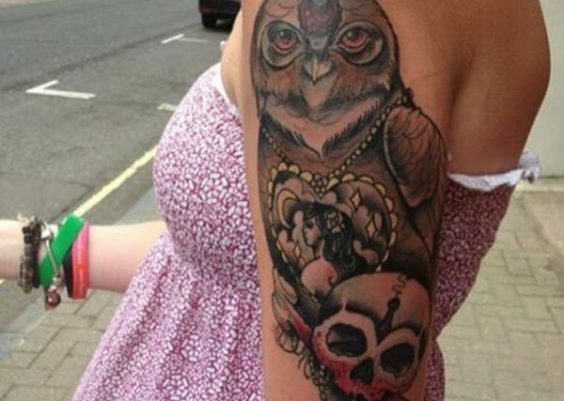 People get this tattoo inked in the remembrance of their loved ones. 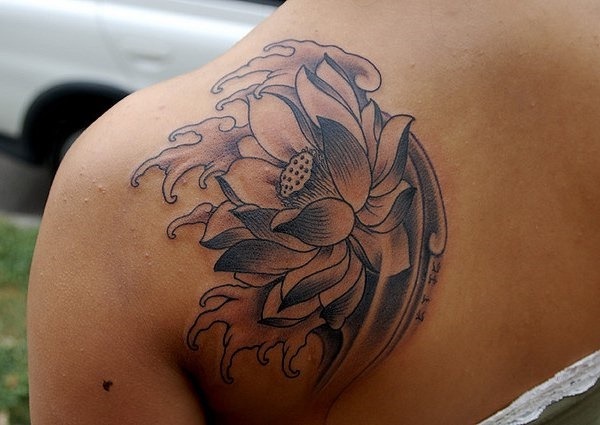 The popular places where the tattoo is placed includes – back, shoulders and thigh. 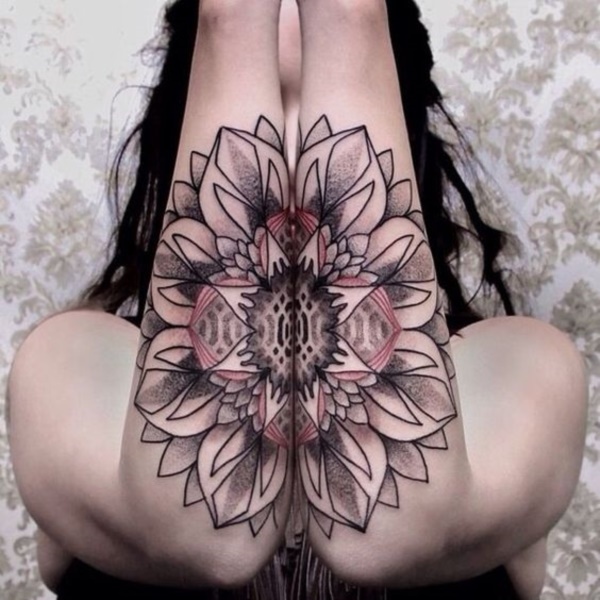 Since tattoos are more like a form of art and self-expression, you need to work with an artist that is capable of understanding your style perfectly. 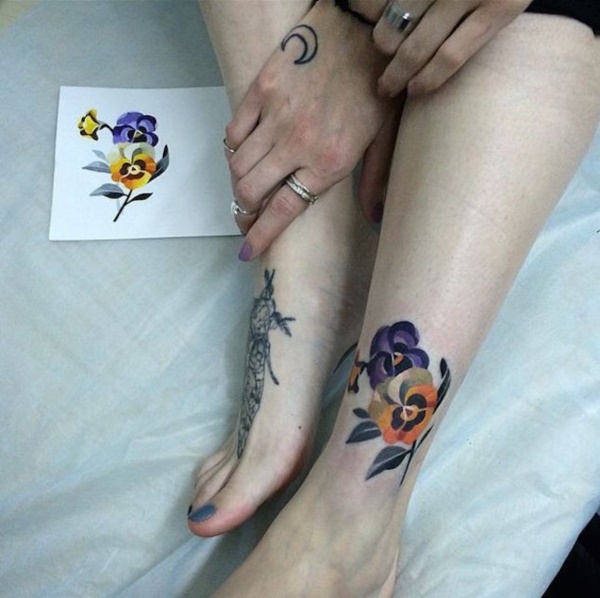 As much as tattoos carry symbolic meanings, floral tattoos may be those that are simply worn because of the beauty. The design fits perfectly on the thighs where it’s worn. 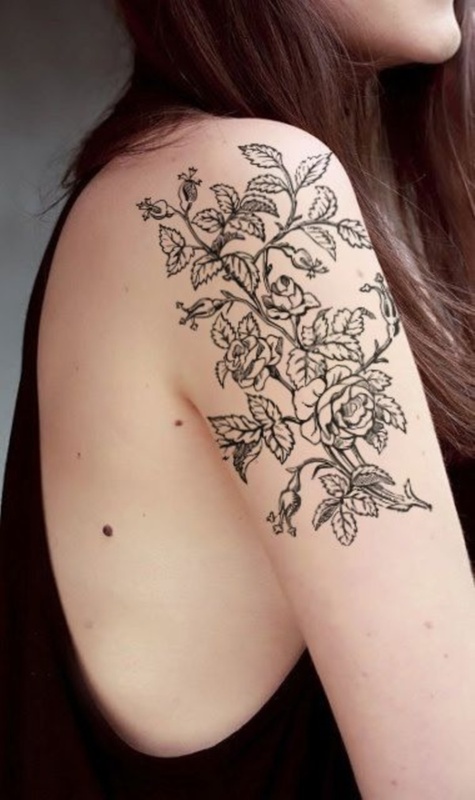 Whether you find inspiration in a very elaborate design or even prefer a blend of elements, you will find flower tattoos to be so appealing. 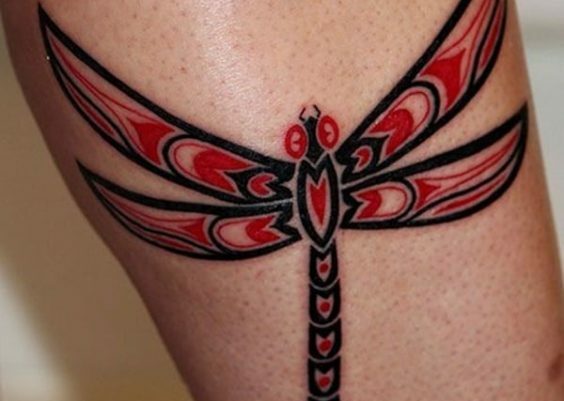 The meaning of this unique tattoo design also varies from culture to culture. 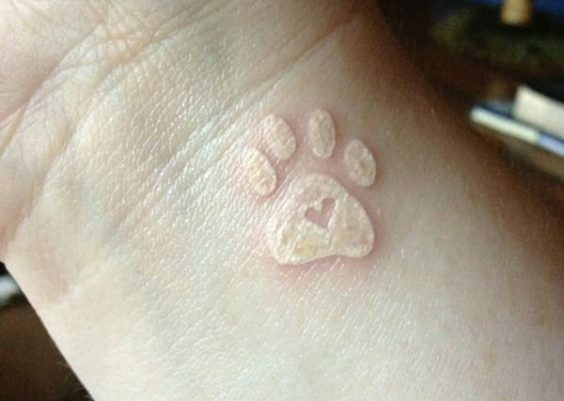 It usually symbolizes that the wearer’s love can withstand anything. 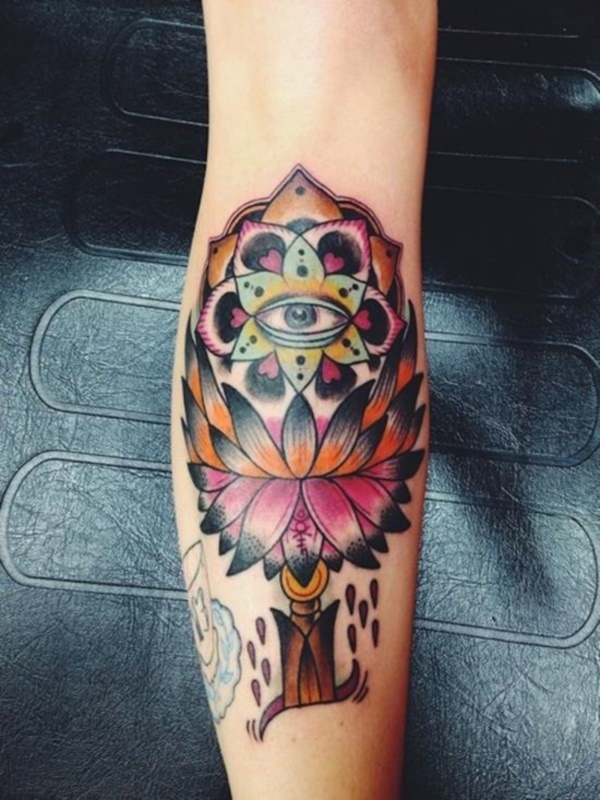 However, the traditional meaning of this tattoo design stands for empathy. 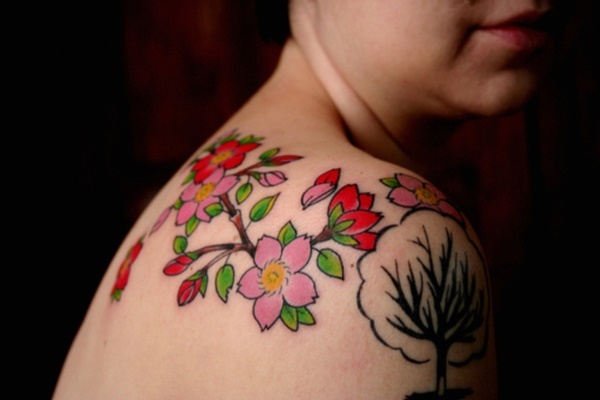 Dogwood floral tattoo designs look like cherry blossoms tattoos due to their striking effects. 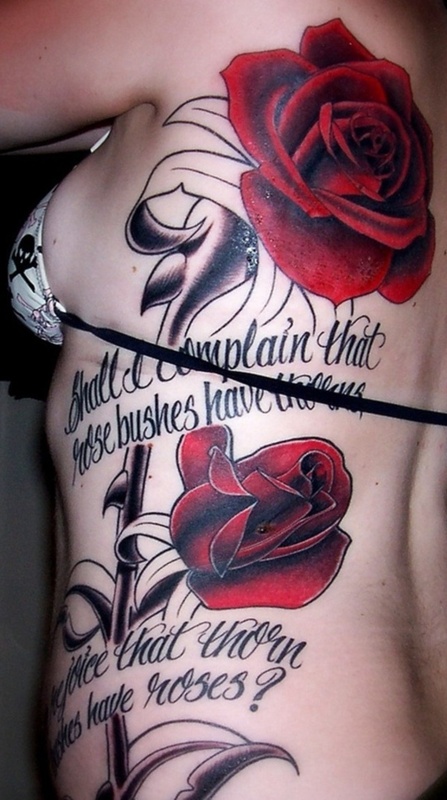 Tattoo artist had to take each and every small point into consideration while getting this tattoo inked on the bearer. The design also reflects all beautiful elements of nature and your attachment towards them. 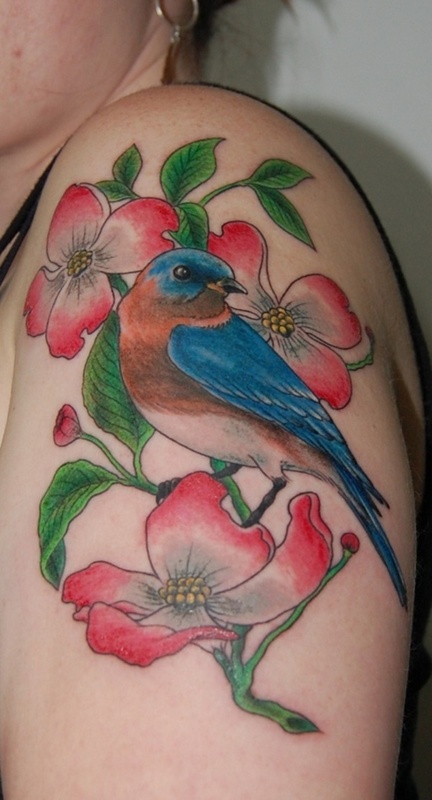 In some cases, the dogwood flower tattoo idea signifies rebirth or rejuvenation. 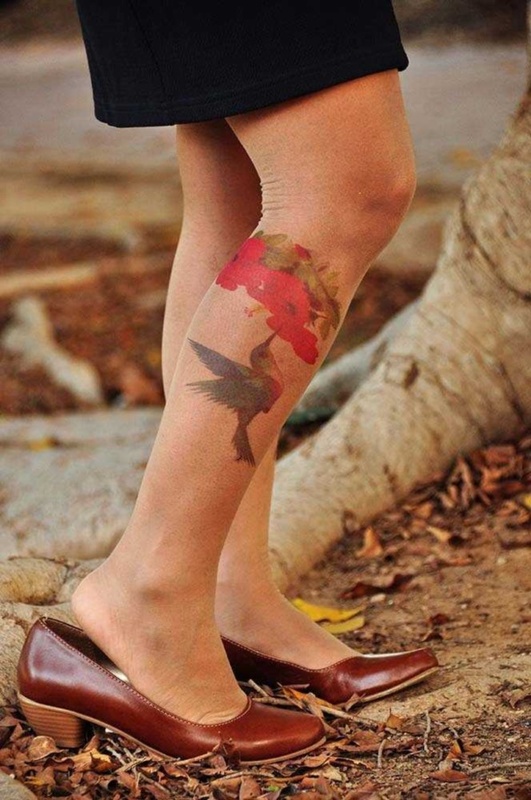 As you settle for floral tattoos, choose colours that you resonate with well. 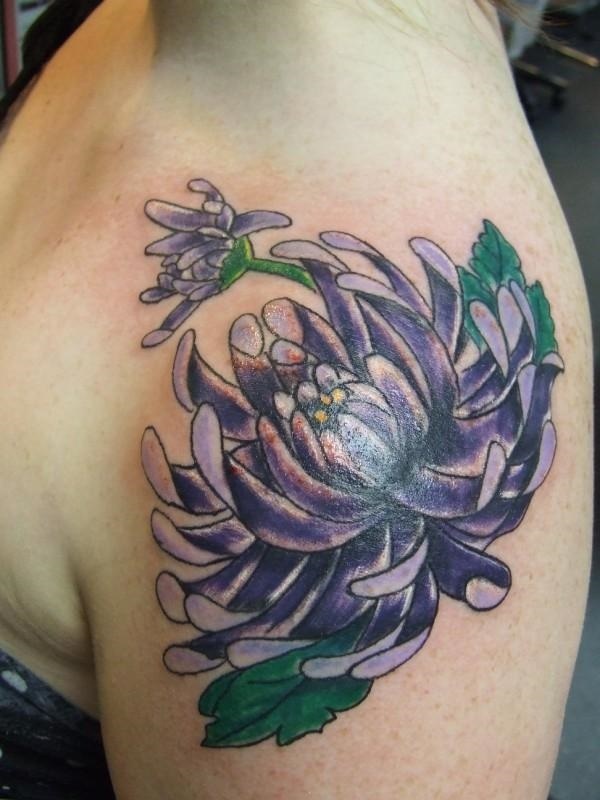 A blend of purple and brown is not only cool but adds to the intricacy of the design. 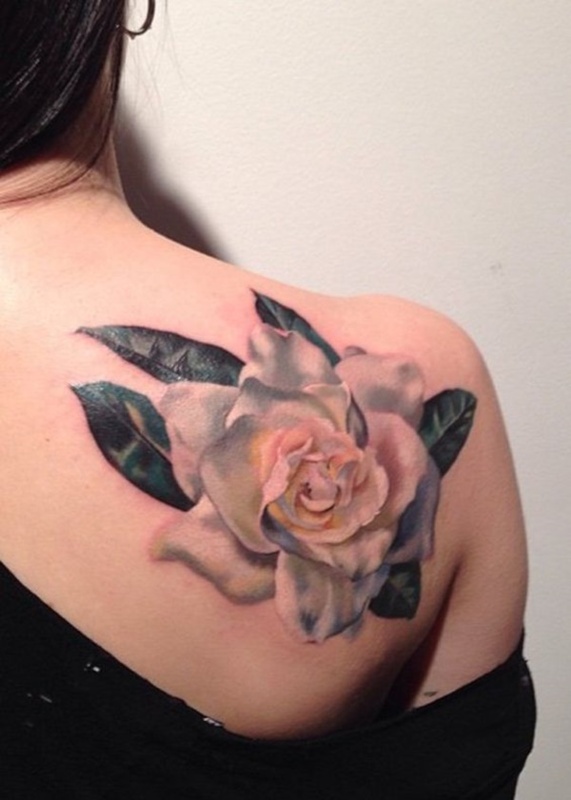 A delicate piece of flower that fits well on the upper back. The purple and green blend so well with the yellow adding to the contrast. 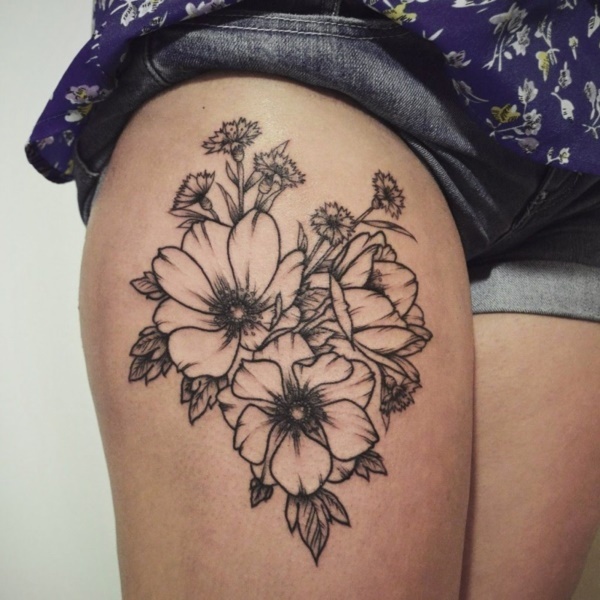 If you are into a floral tattoo that’s not very vibrant yet adorable then you can opt for the below design. It’s not only elegant but also blends well with other features. 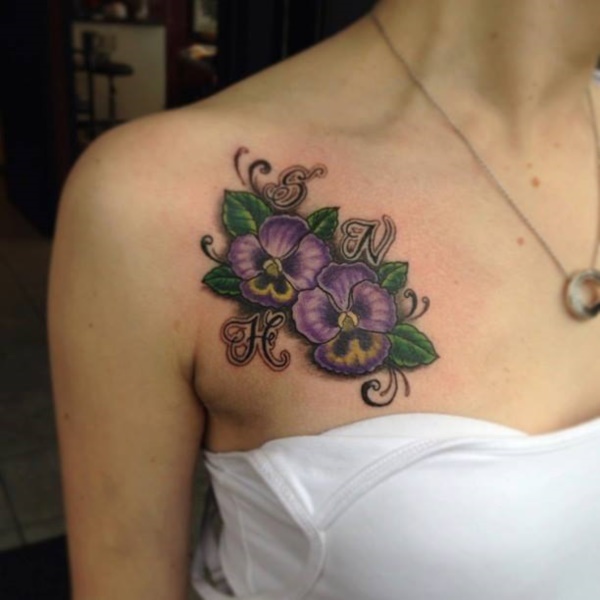 The pansy flowers are popularly known as the flower of remembrance. 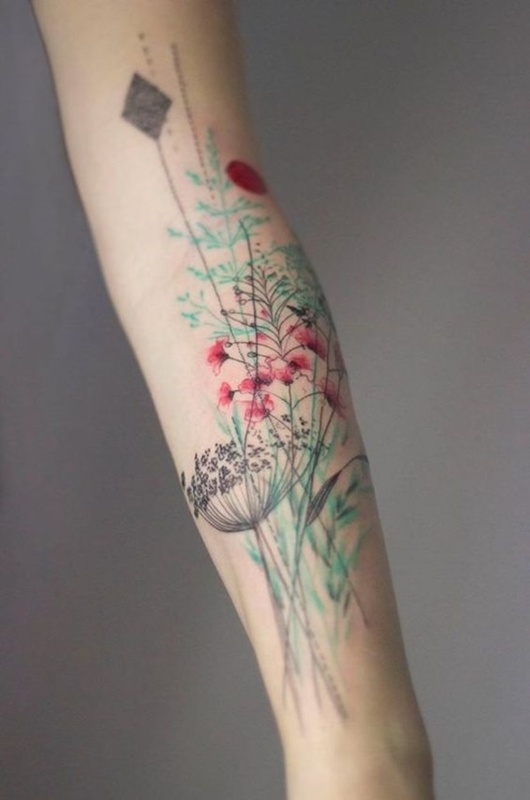 These tattoos are usually placed in the memories of those who are no longer alive. 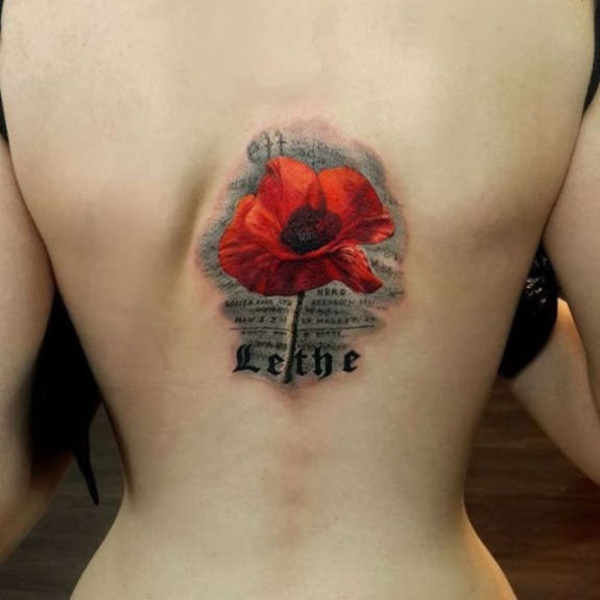 Its meant to honour them and people get this tattoo engraved on their back and thigh. 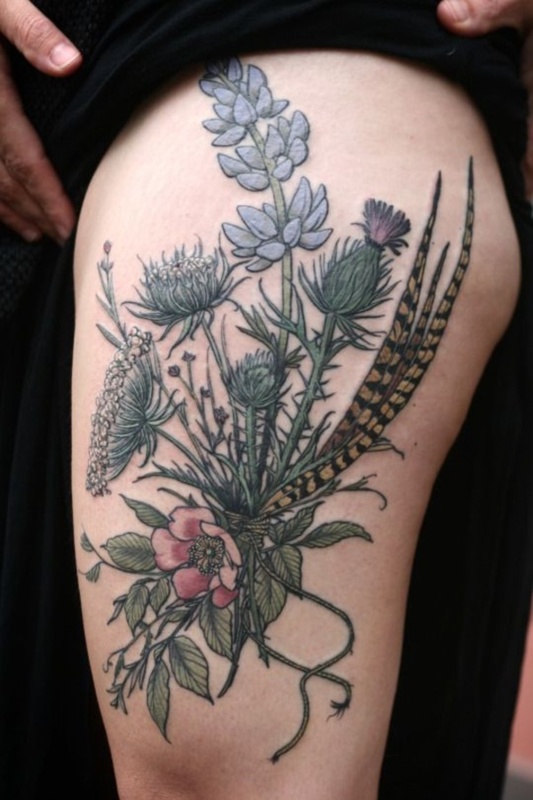 The tattoo design is complex and requires both patience and time. 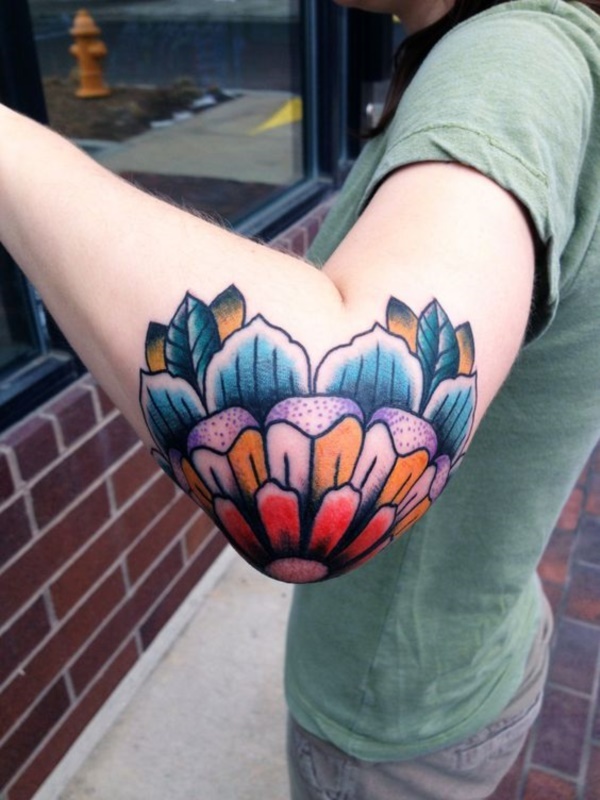 Use of vibrant colours makes the tattoo look more attractive and stylish. Such a beautiful option for those that are not into wearing very vibrant colours. The flowers are cute and also reflects well on the wearer. 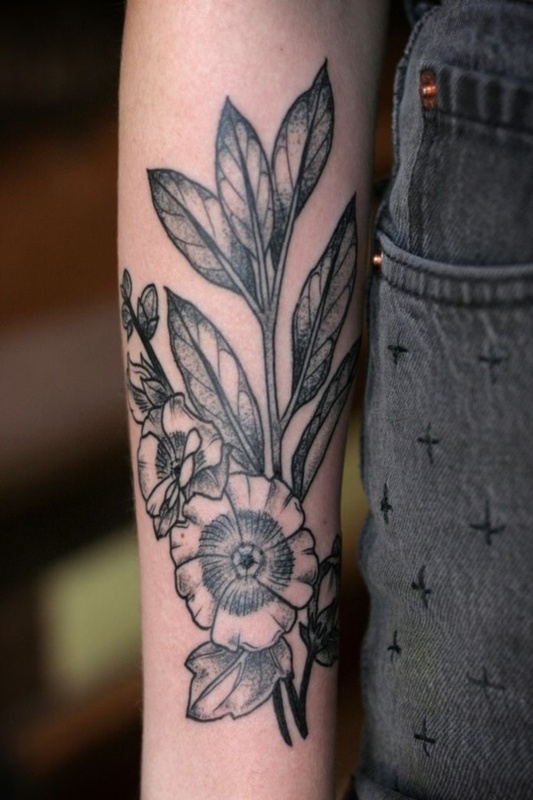 The forearm is such a pretty place for wearing floral tattoos. The one colour used makes the design to look calm and also appealing. 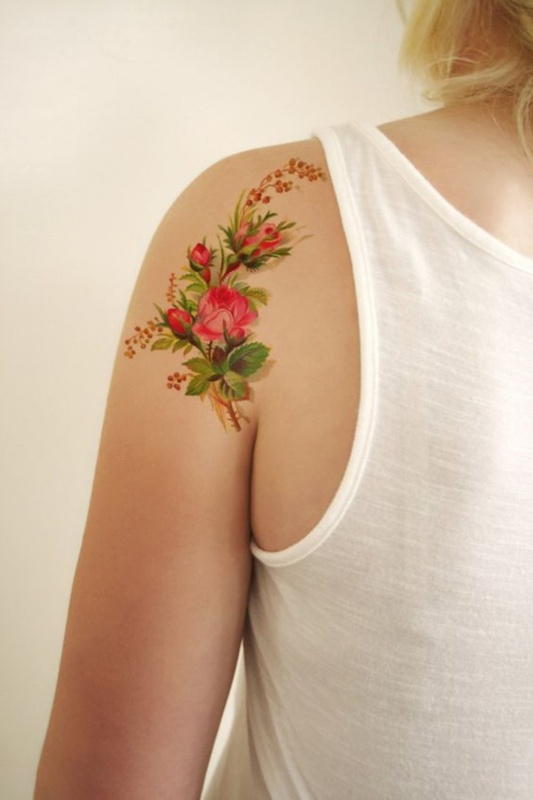 A cool floral tattoo that reflects beautifully on the wearer’s skin. 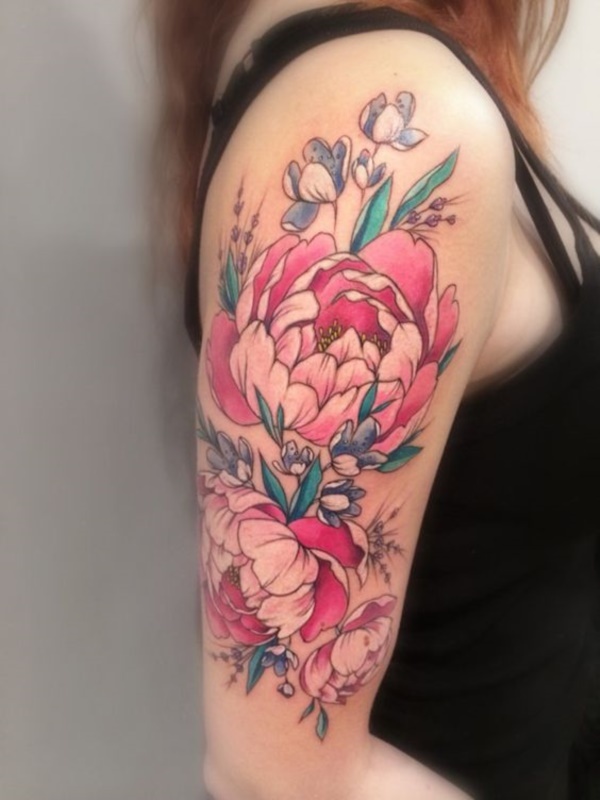 There are several other floral tattoos designs that are loved by both men and women in their traditional and modern form. 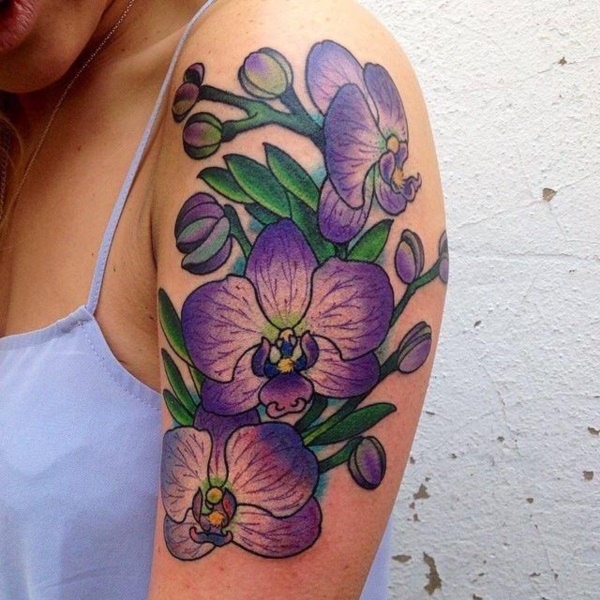 Such as – sweet pea flower tattoo stands for pleasure; violet flower tattoo design represents modesty. 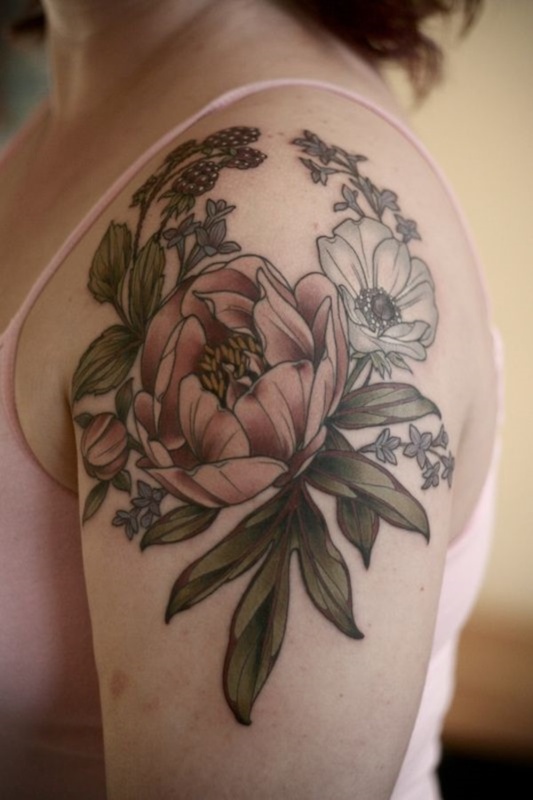 Peony flower tattoo stands for anger while Camellia tattoo design stands for passion and perfection. 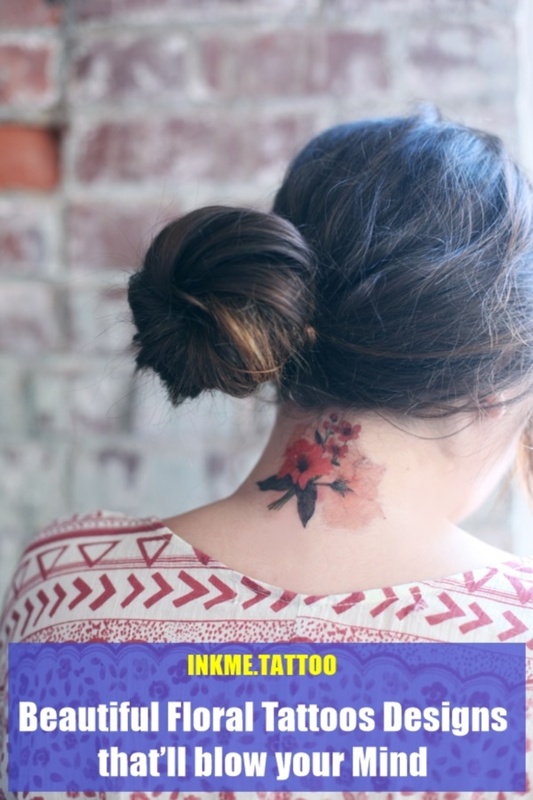 At last, it becomes quite important to understand the fact that tattoo not only represents your social life and style. It can also be a standard or identity, moreover, they reflect your personality in a very significant way. This design is super feminine and enhances the wearer’s cool features. You can enhance some element of complexity by combining features that blend well. 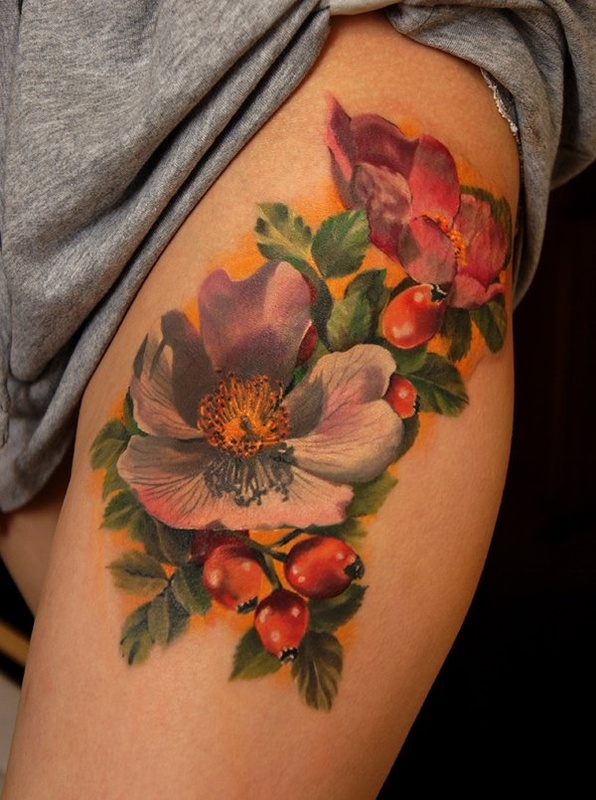 A blend of flowers and other features creates a magnificent contrast. A combination of dark and bright colours reflect beautifully even for a dominant black and white design. 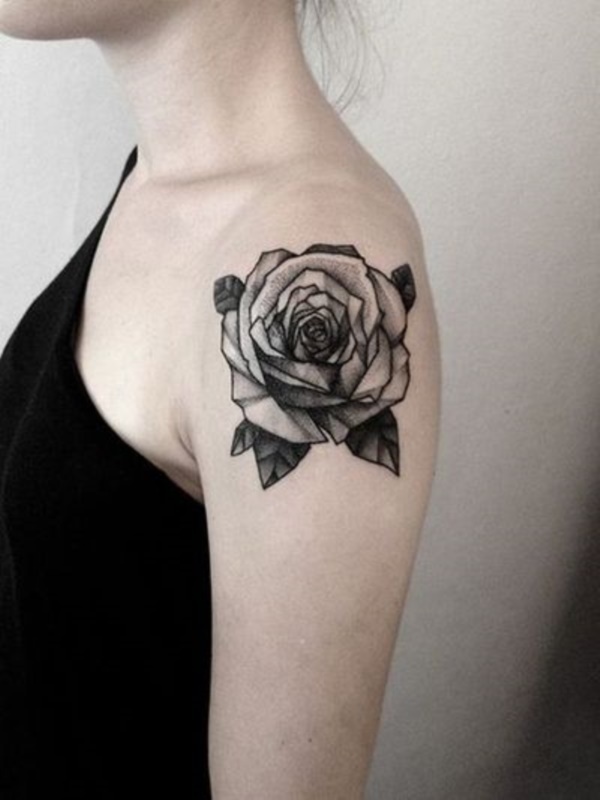 We conclude at the end that many fashion lovers consider floral tattoos as their best permanent form of makeup. They are also highly inspired by this trend in the world of glamour. 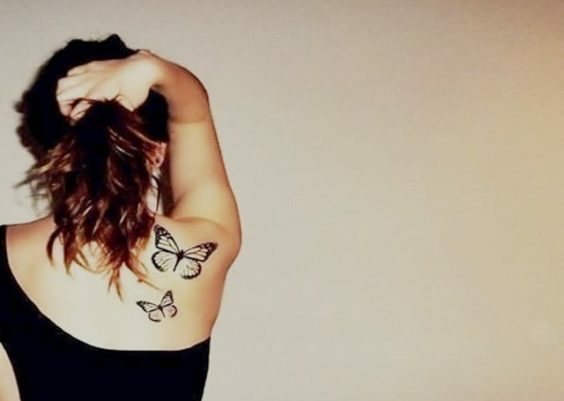 They can’t even think of surviving without these tattoo ideas. 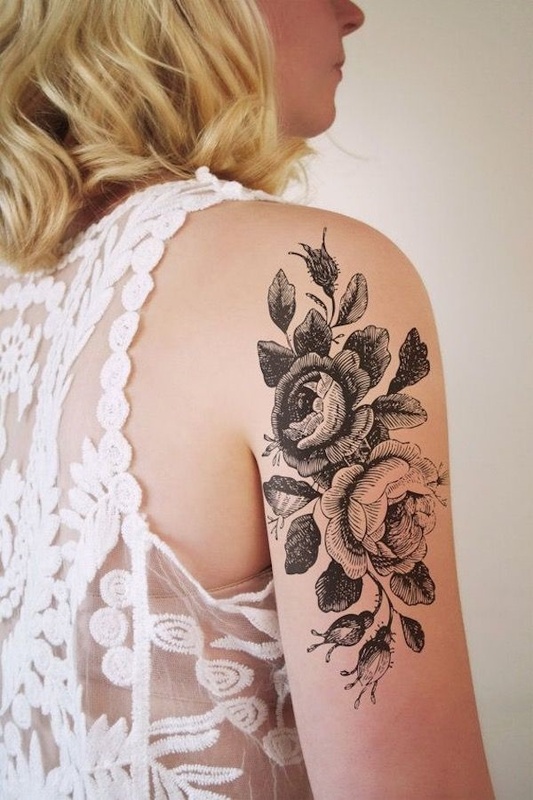 The floral tattoo designs are so versatile in looks. 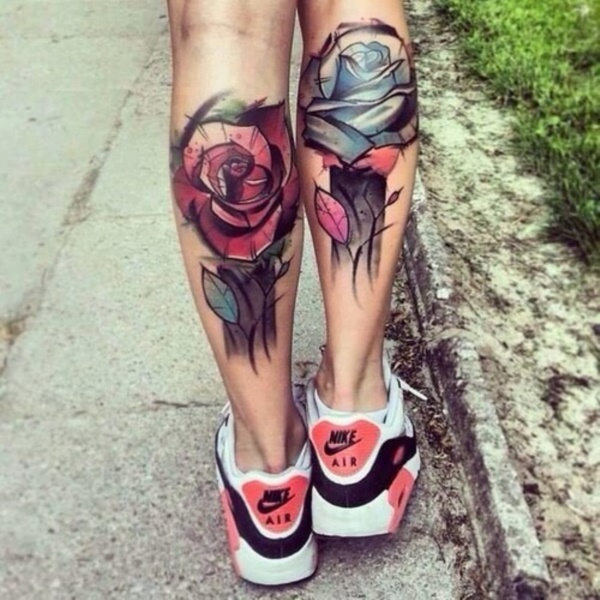 The tattoos prove to be ideal for both men and women. They also look cool with objects representing femininity as well as masculinity. 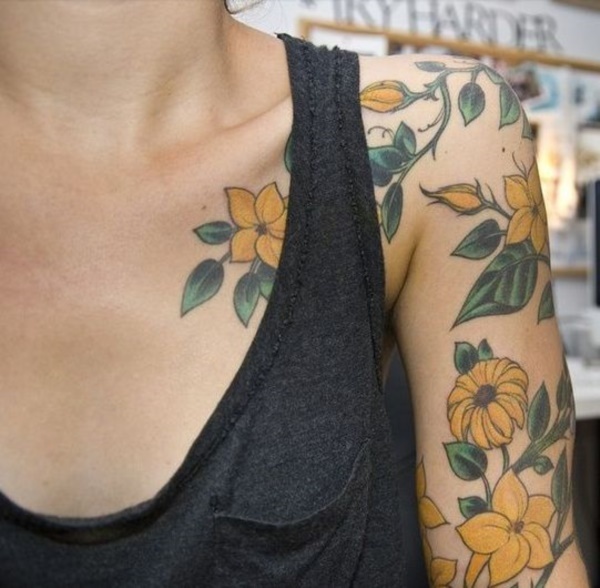 Try some inspiring tattoos ideas for girl. Such an adorable piece of design and the one colour that’s used adds to the intricacy of the design. The combination of green and grey adds some element of nature and life to a design. Use of underlying shades in a design has a way of enhancing the visual appeal of the design. It also makes the bright colours used to really pop. 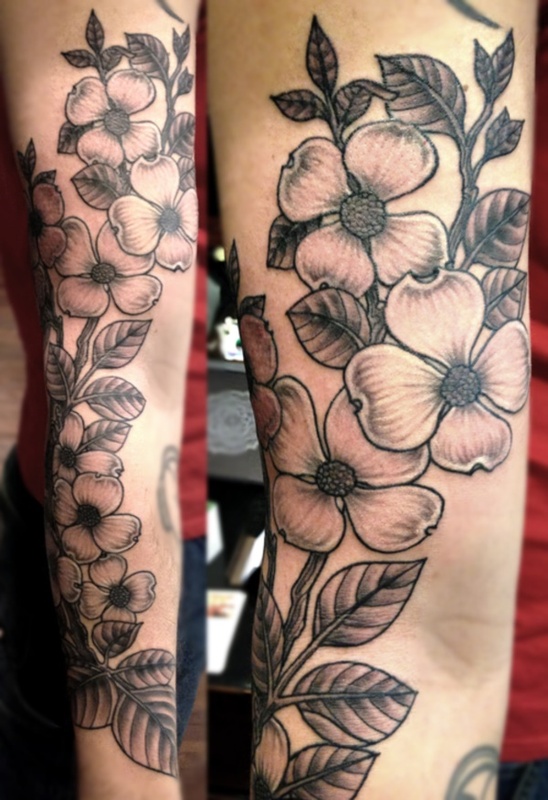 You can add more life and elegance to the design by opting for a full arm floral tattoo. 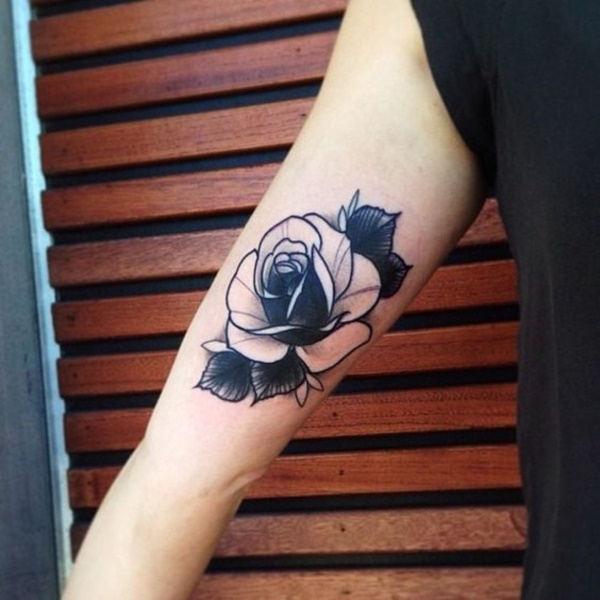 What an adorable piece of design that fits well on the elbow. The bold yellow colour is not just cool but also reflects beautifully on the hand. Simple and cool is the best description of the design below. The design is not only cool but also looks outstanding. Enhance that feminine features with bright and adorable colours that capture the imagination. 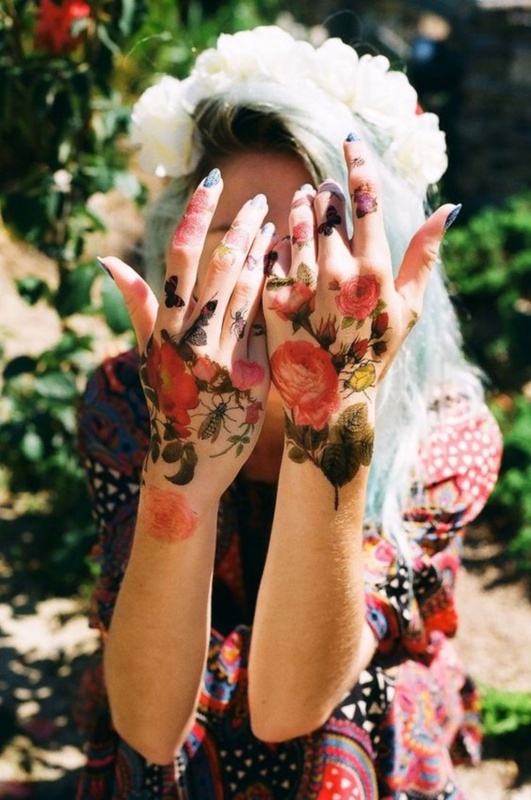 Flower tattoos are always stunning regardless of where they are placed. 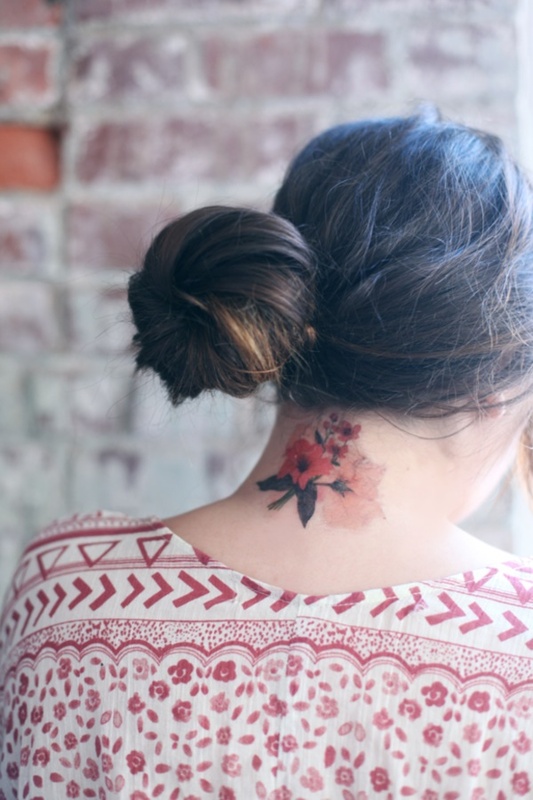 Having a bloom behind the neck is not only cool but also reflects nicely on the wearer. 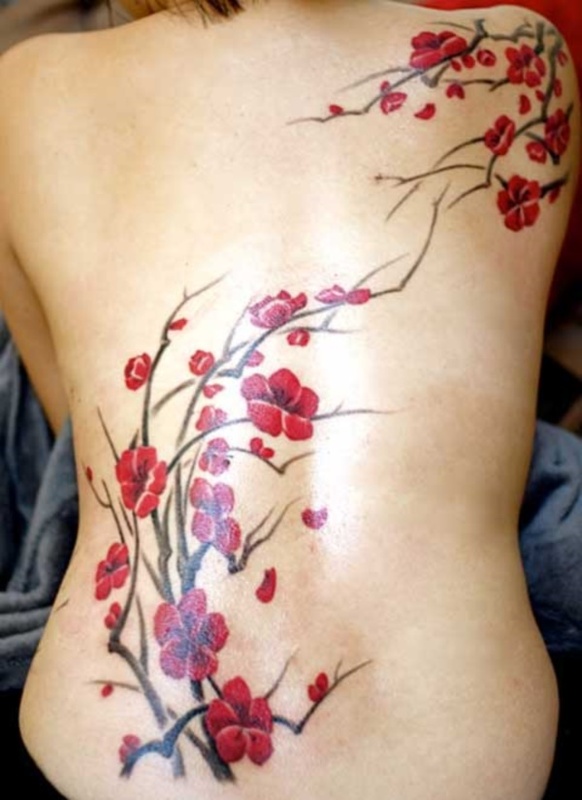 The pretty blossoms are not only cool but also reflects beautifully on the wearer’s back. Such a simple design that reflects beautifully on the wrist. Watercolour shades are always cool and add some element of intricacy to a design. 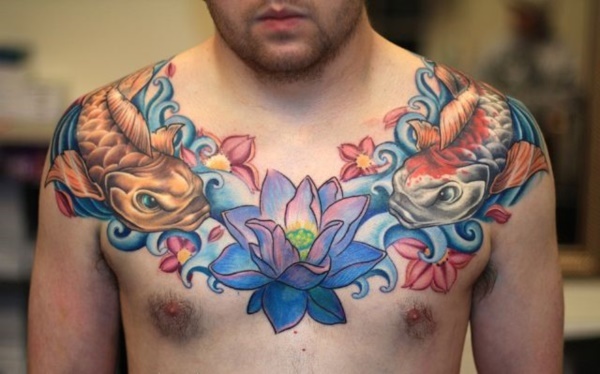 Such a large floral tattoo that captures the entire chest. It looks classic on the wearer. 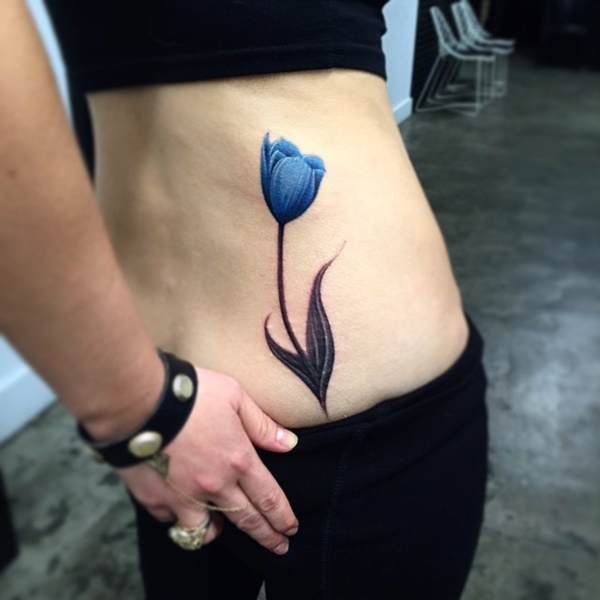 The combination of light and royal blue looks magnificent on the upper back. 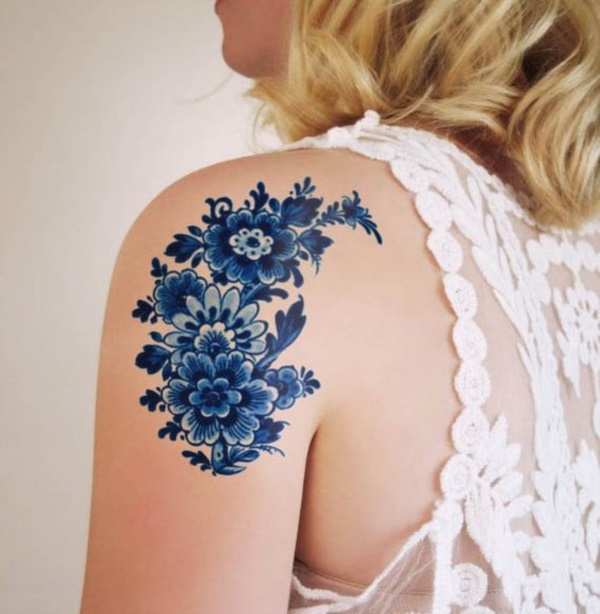 Shoulder flower tattoos have a way of enhancing the feminine features of the wearer. 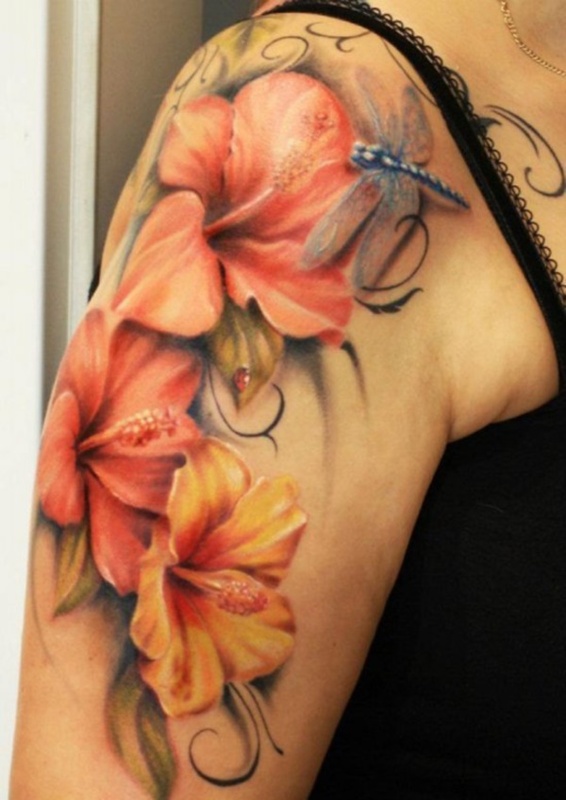 The tattoo is artistically designed and all the shades used also blend well. Light shades are great if beautifully designed. The placement also works well for the wearer. The combination of brown, pink and green shades make a beautiful blend. Flowers not only add life but also create such a catchy appeal. Such an amazing piece of design that reflects beautifully on the wearer. The one colour used reflects beautifully on the wearer. Elements such as butterflies create such a rich symbolism and enhance the beauty of the design. A beautiful fusion of shades of colours that blend so well. 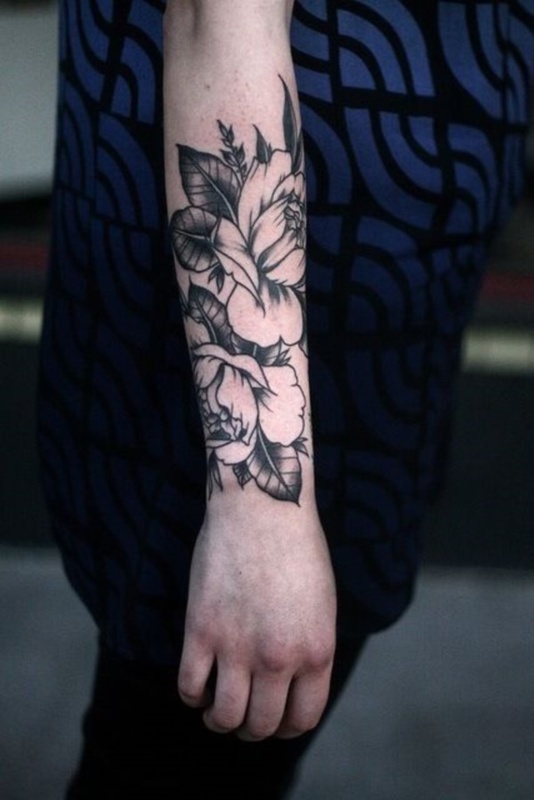 Full arm tattoo looks magnificent especially when several elements are used. The design below is such a magnificent piece of artwork that enhances the wearer’s features. 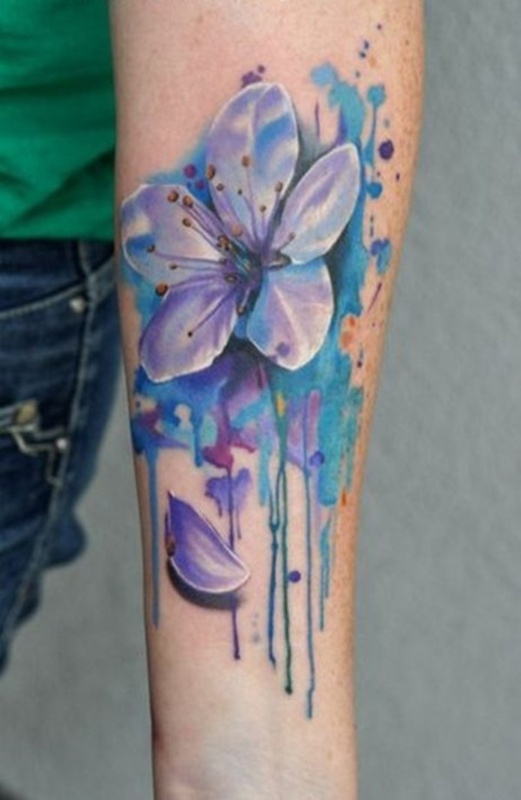 Such an awesome fusion of colours that captures one’s imagination. 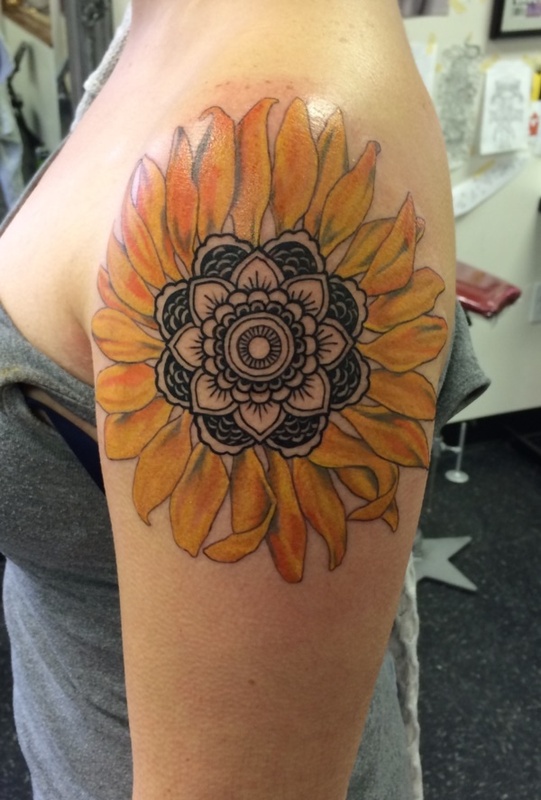 The tattoo is large enough and fits well on the shoulder where it’s worn. 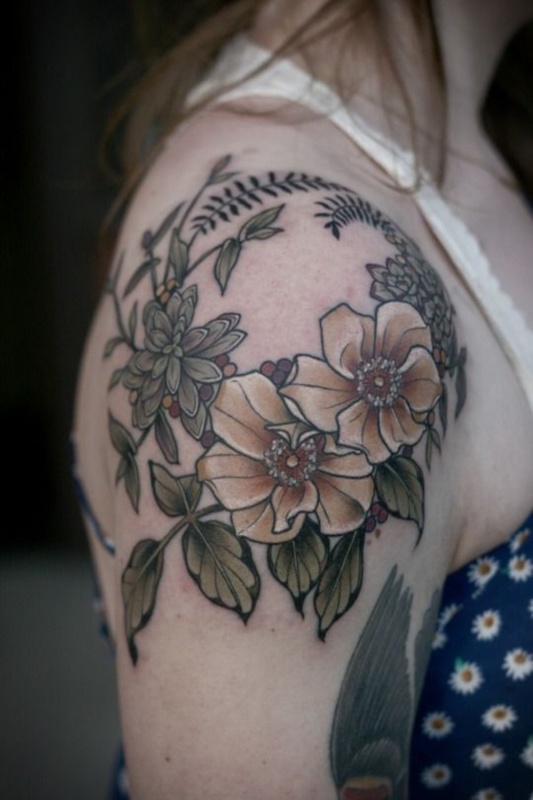 The brown shades used in the floral tattoo makes the entire design to really pop. A magnificent piece of design that reflects beautifully on the wearer. The shades used enhances the feminine features of the wearer. 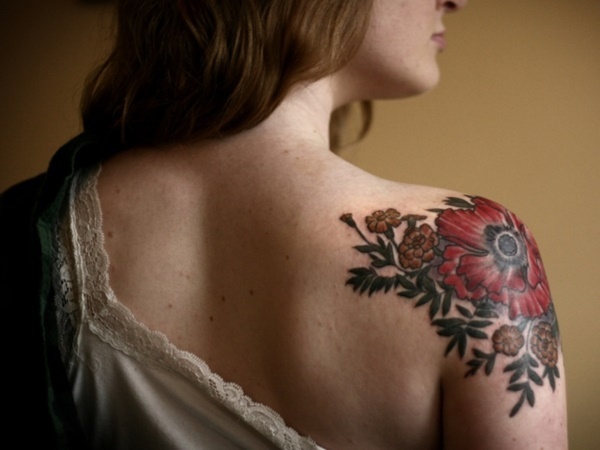 The floral design below is large enough and captures the shoulder area so well. The one colour used also makes the entire design to stand out. 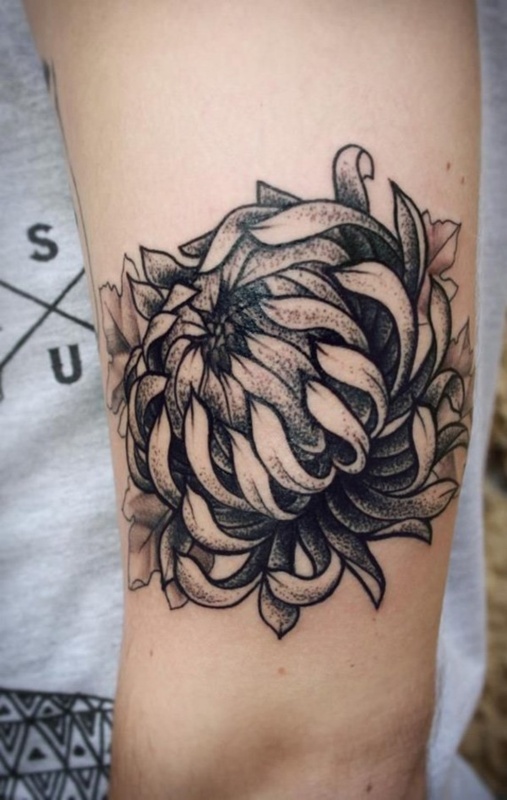 One thing about flowers tattoos that makes them unique is the fac that they can be incorporated with almost any element. The beauty of flowers lie in the fact that they come in diverse colours which tend to blend so well. 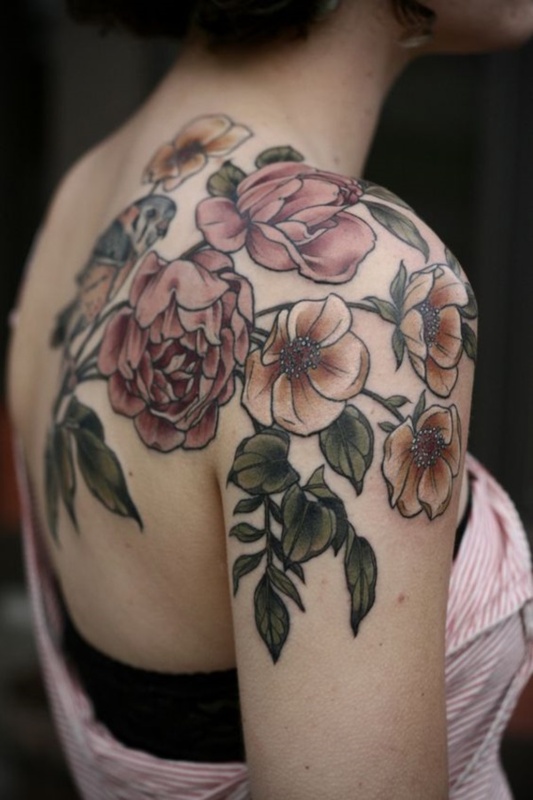 Floral tattoos have such a beautiful appeal and that’s something that has contributed to its popularity. 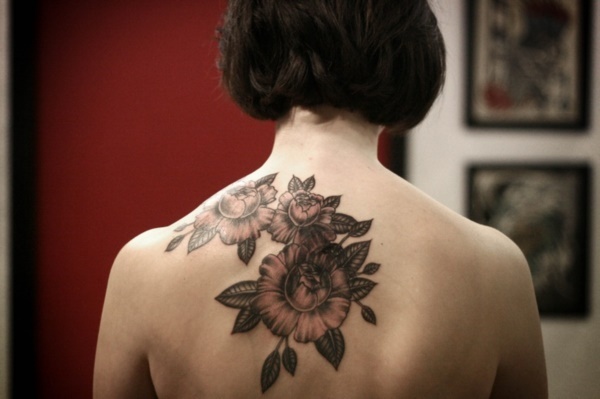 Inking the floral designs is therefore not limited to only women as men also wear the tattoos. Flowers are normally associated with femininity and beauty. 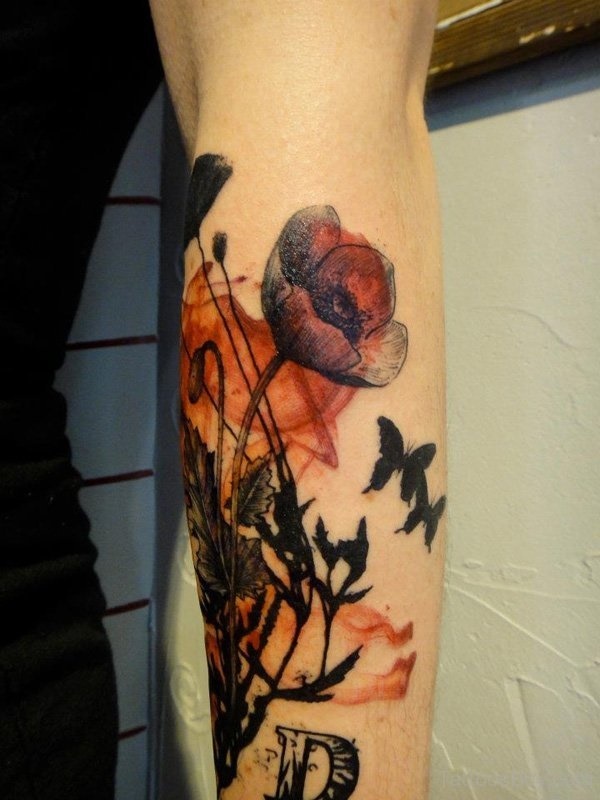 Flowers also symbolize different things to people. Though flowers have been a point of attraction since ancient times. 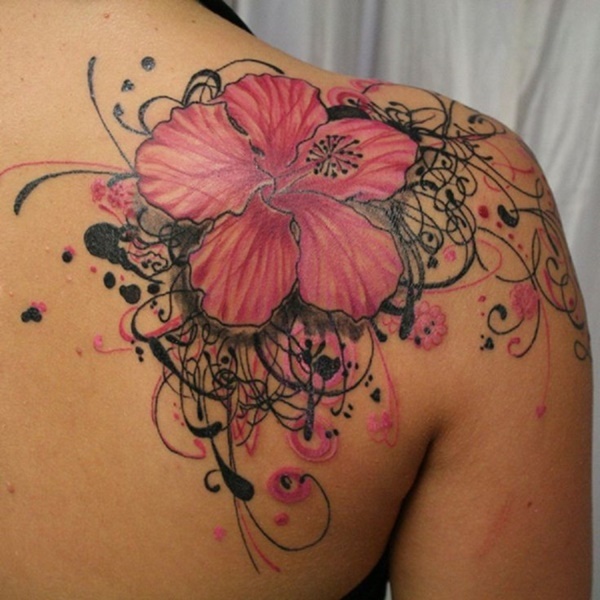 Now their use in the complicated tattoo designs has made them popular in the tattoo art world. The different meaning they hold in different culture made them worldwide famous, depending upon the nature of flower. 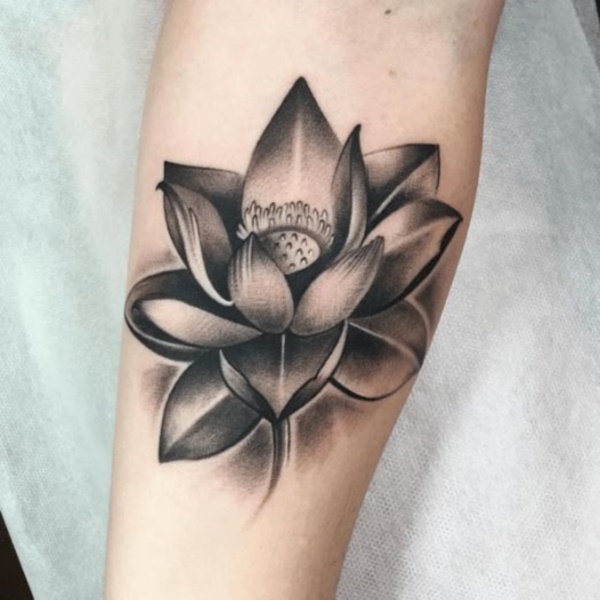 However, make sure that whether it is a lotus, rose, hibiscus, tulip, lily, poppy or sunflower flower design used in the tattoo, each one holds a deep symbolic meaning. The bearer also has to keep that in mind before getting it successfully inked.Those who love dogs they should try foo dog tattoos.